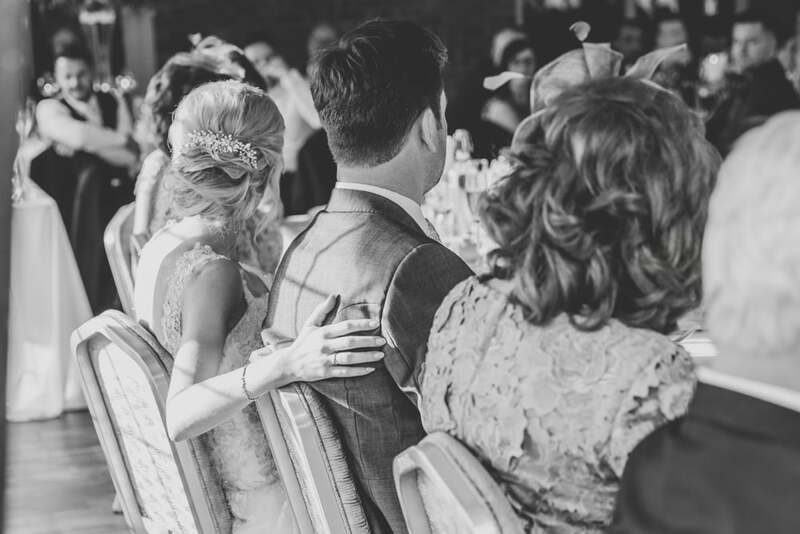 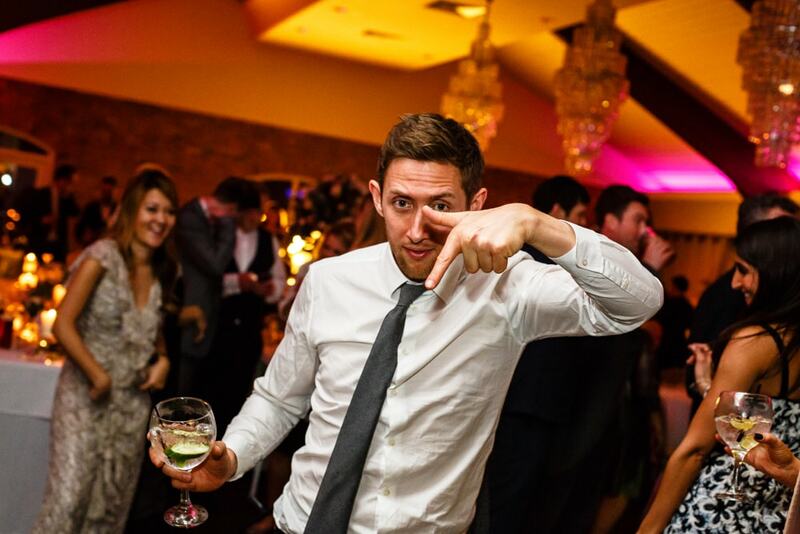 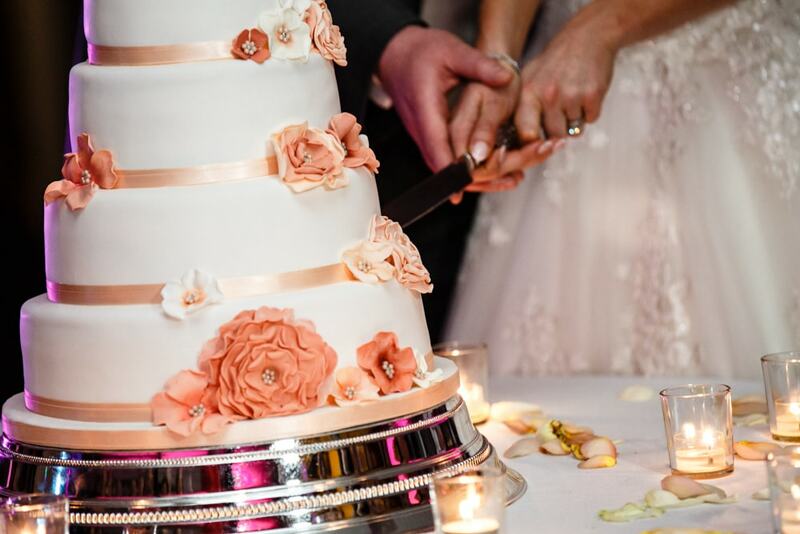 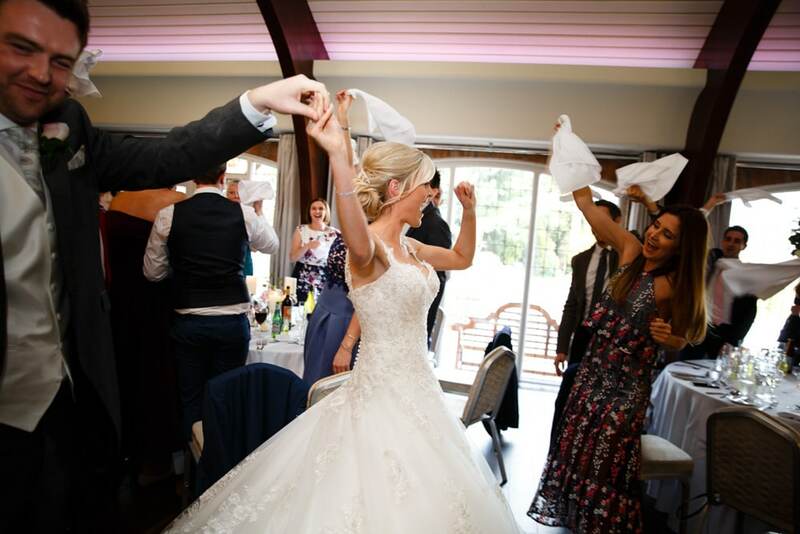 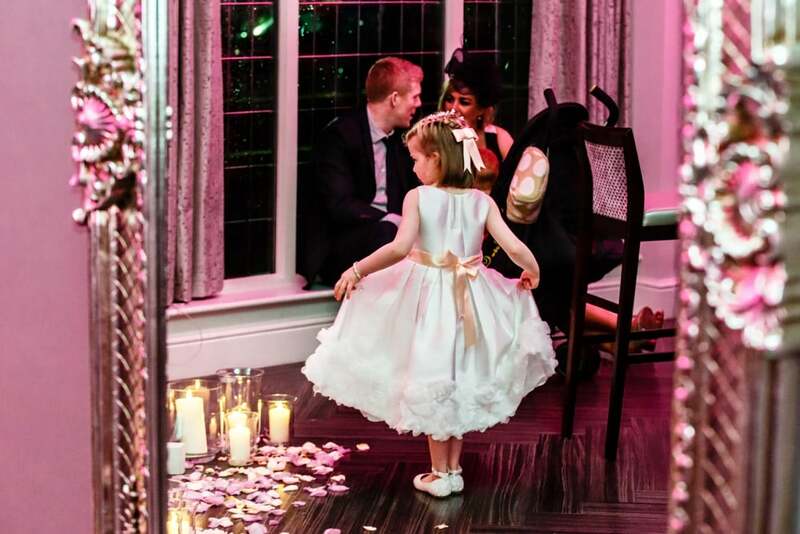 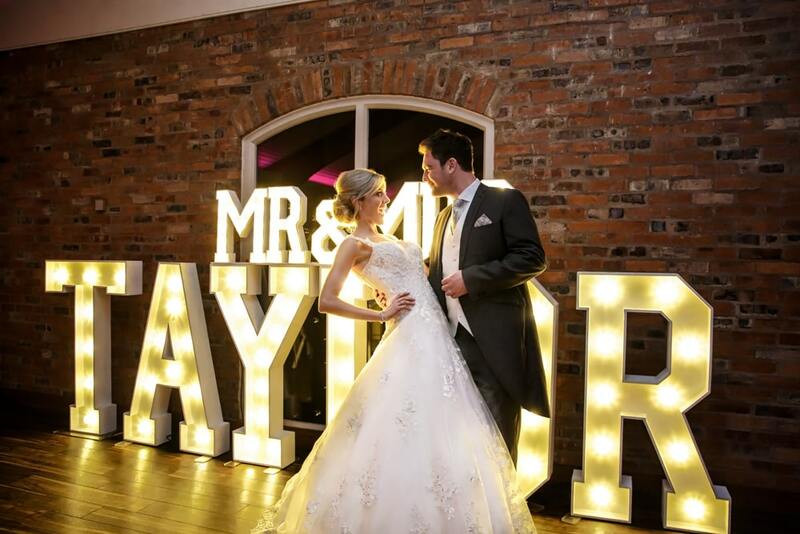 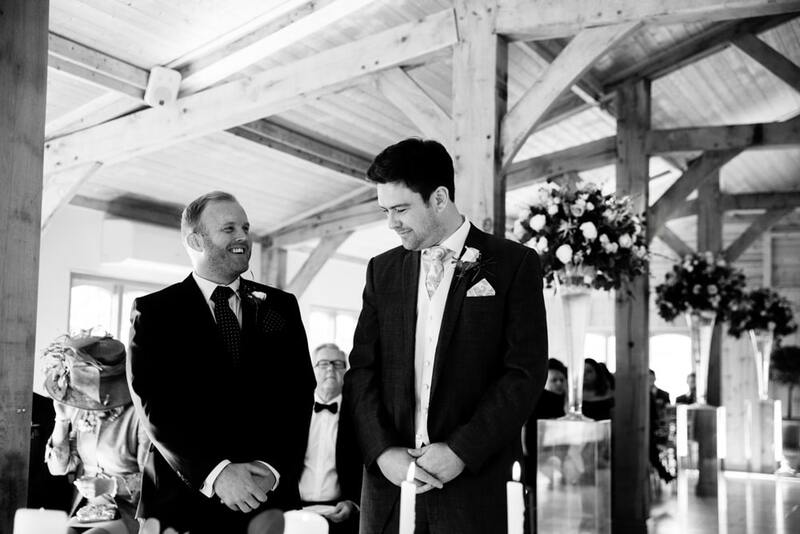 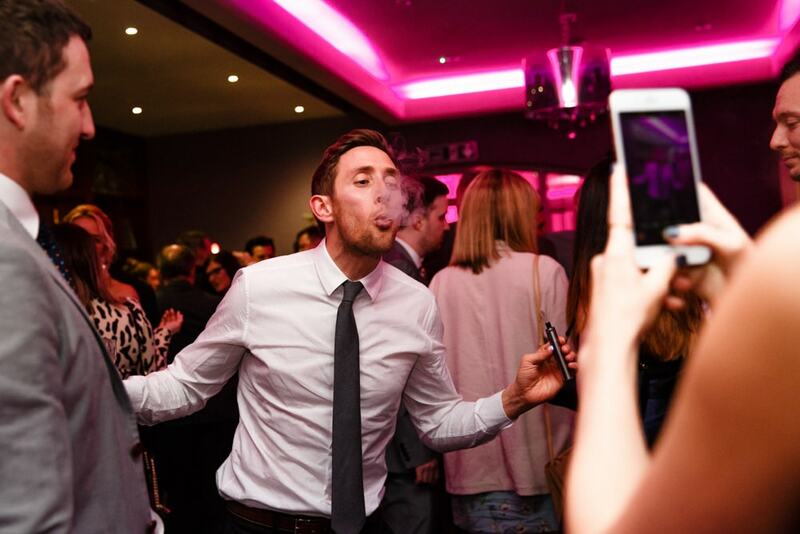 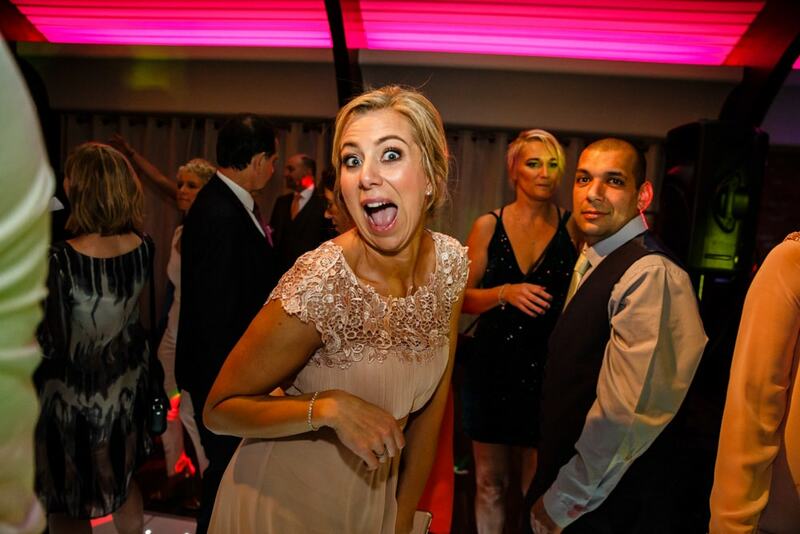 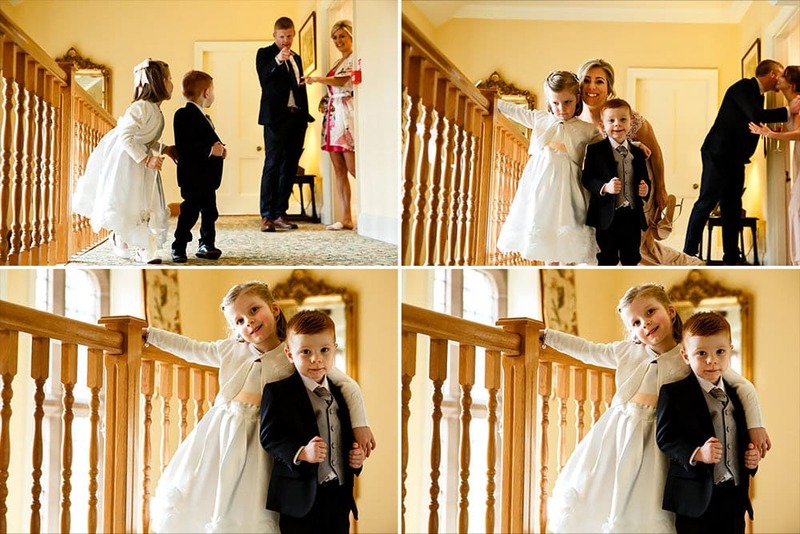 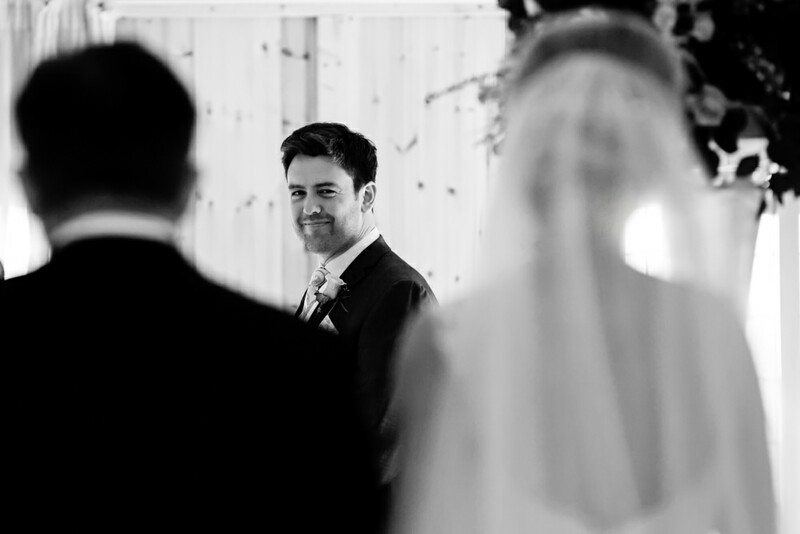 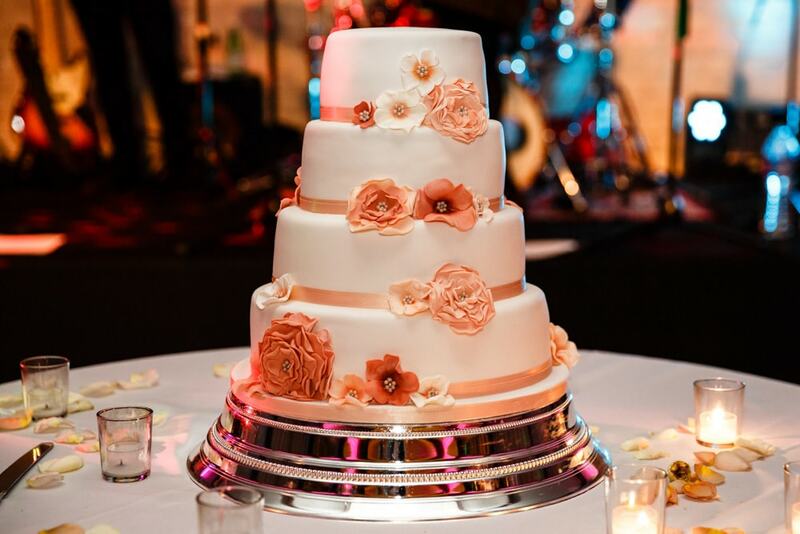 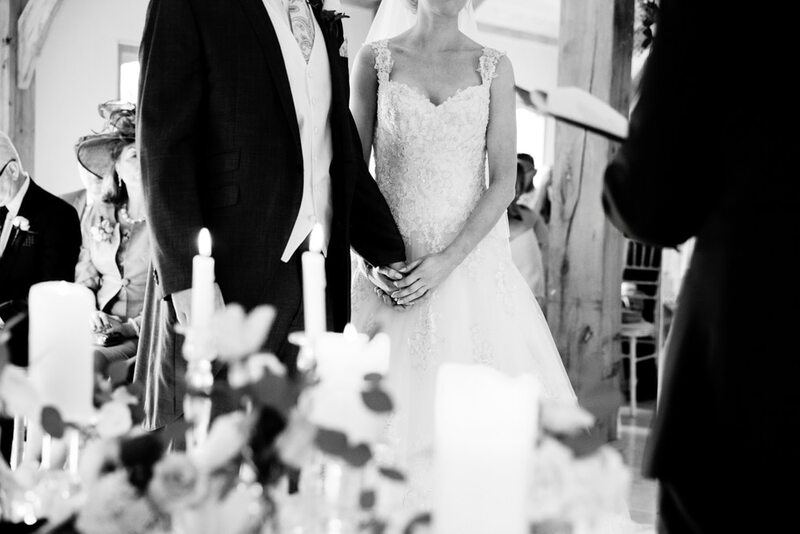 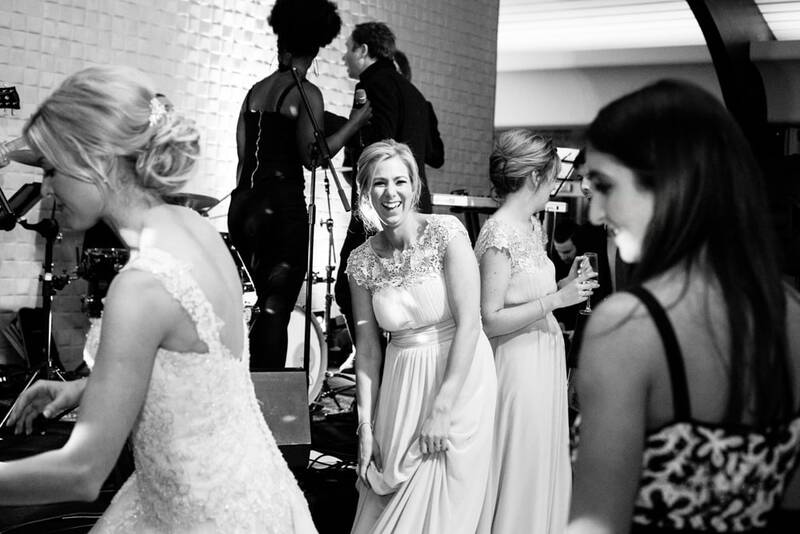 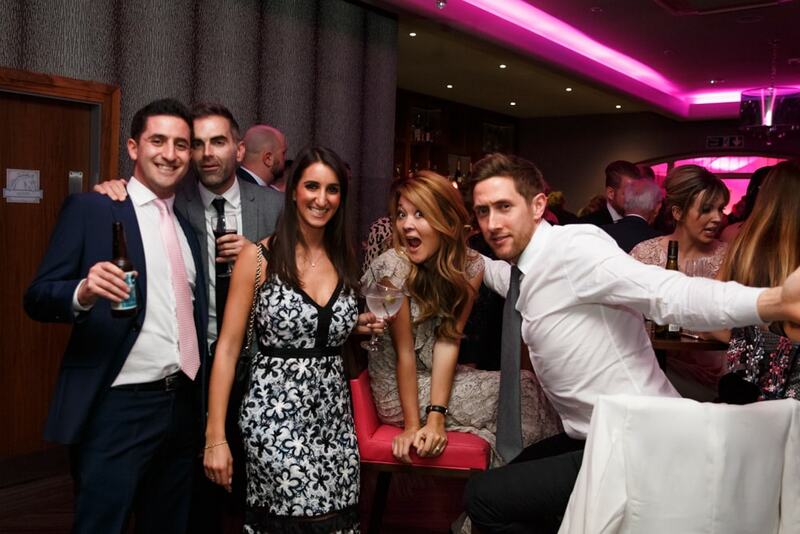 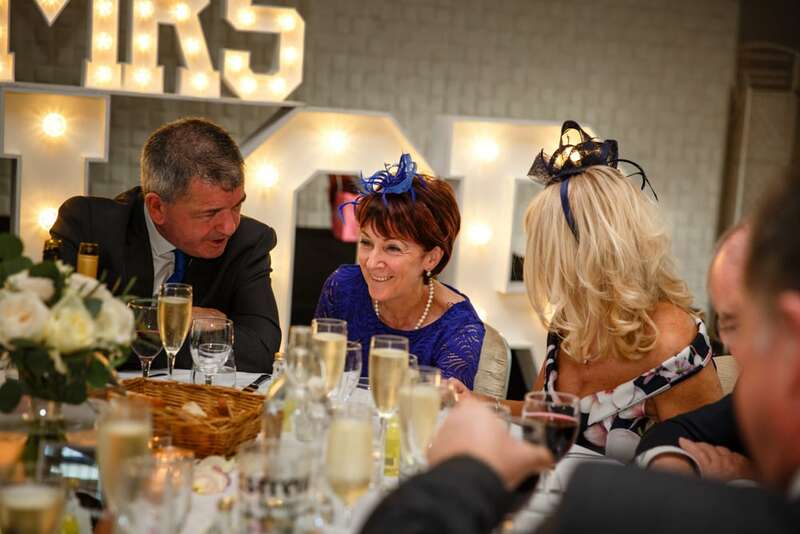 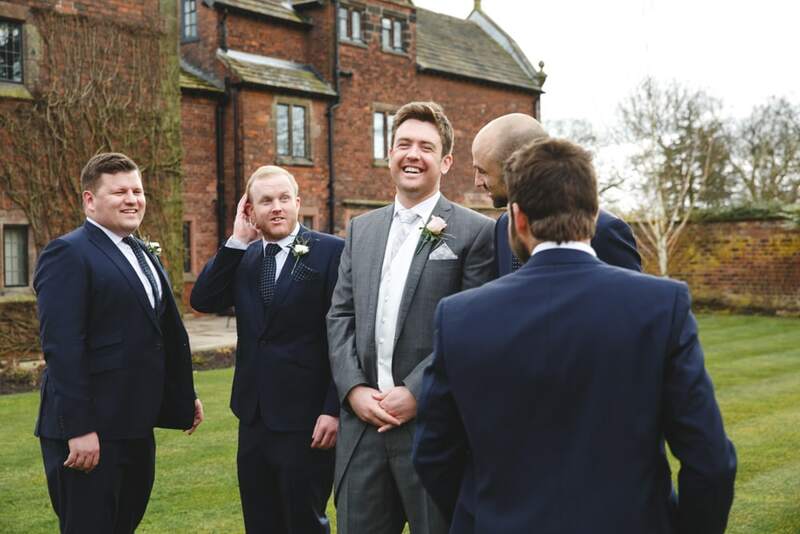 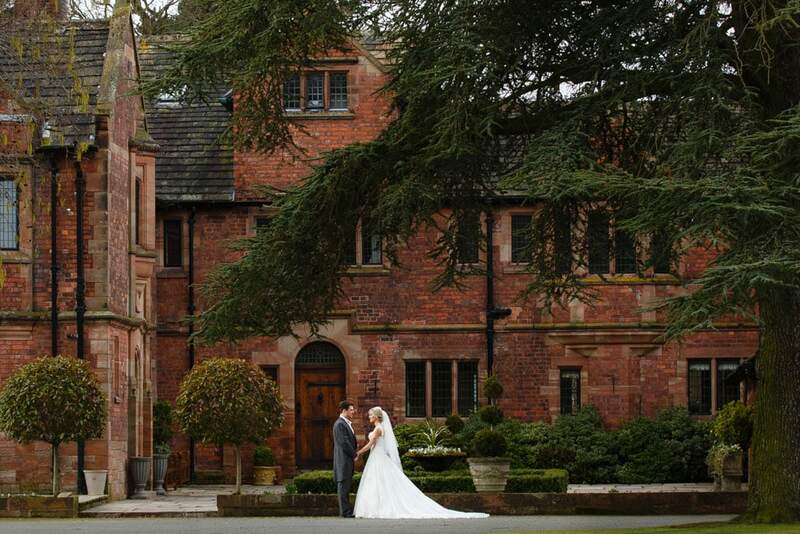 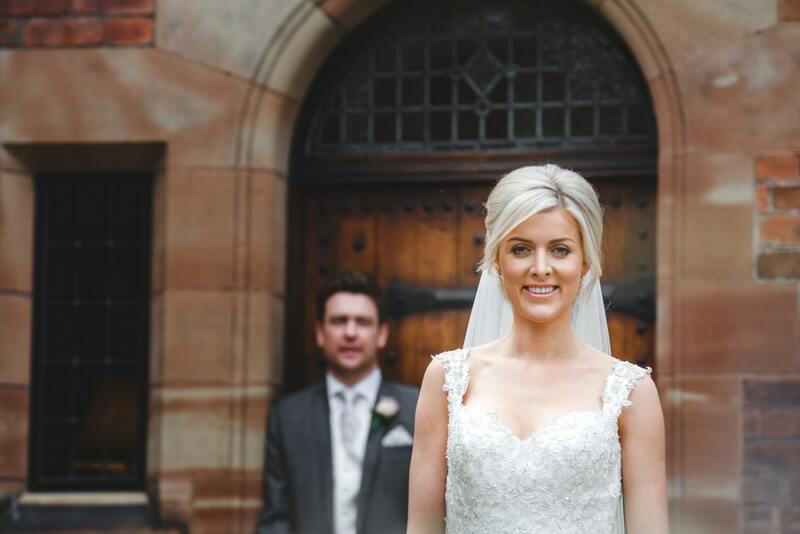 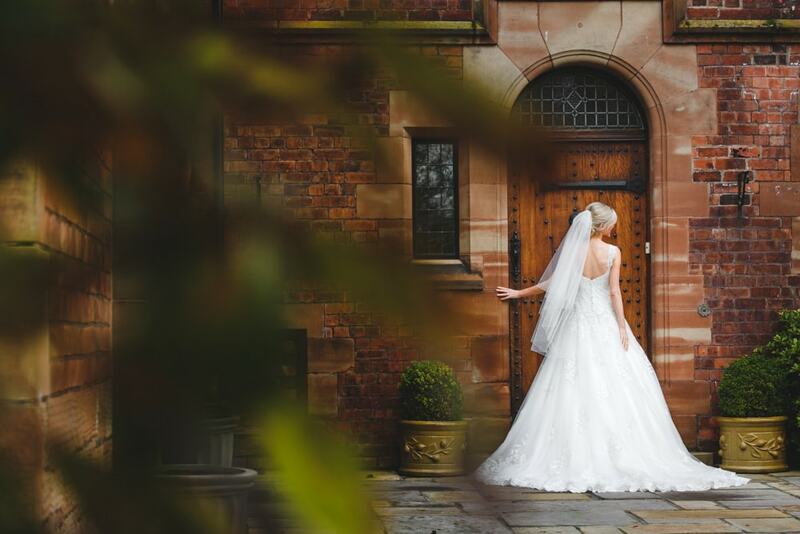 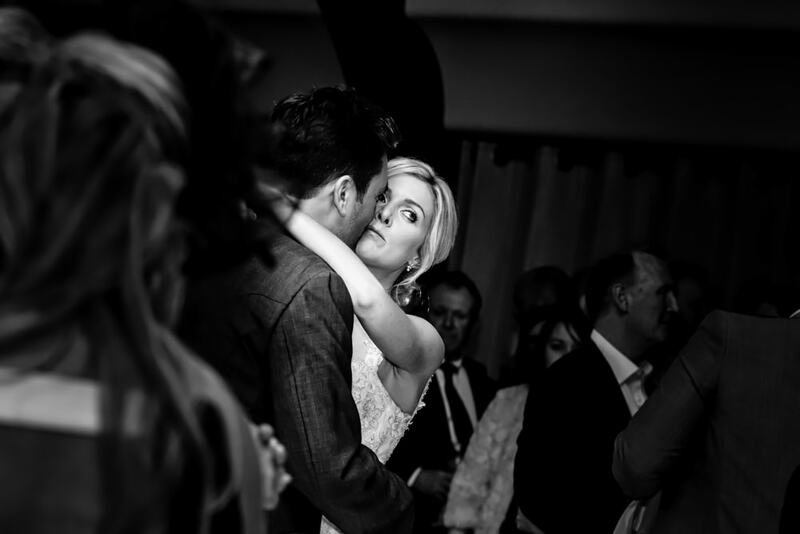 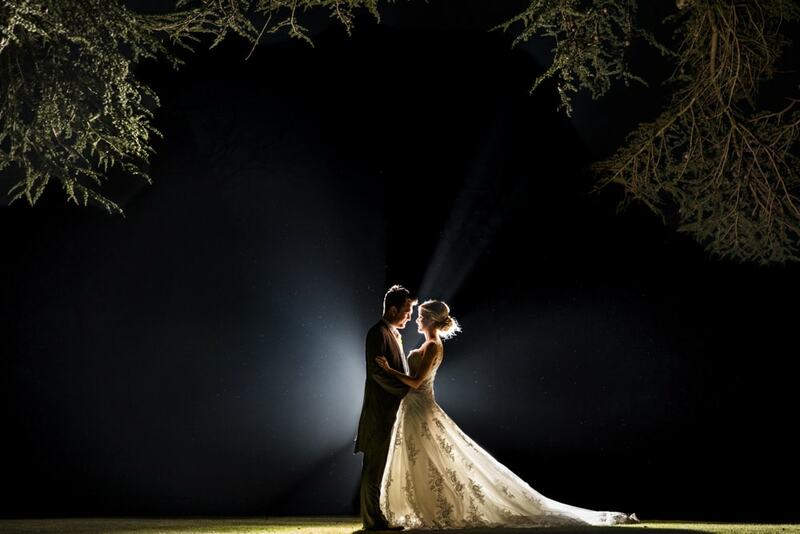 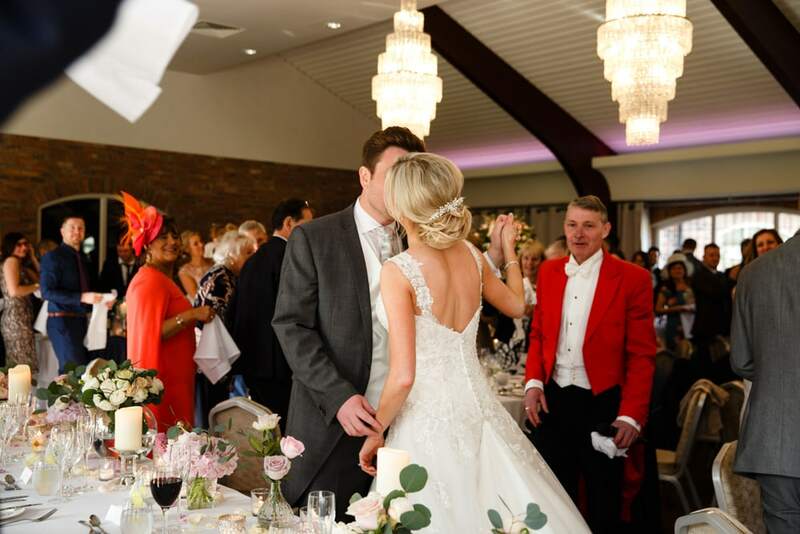 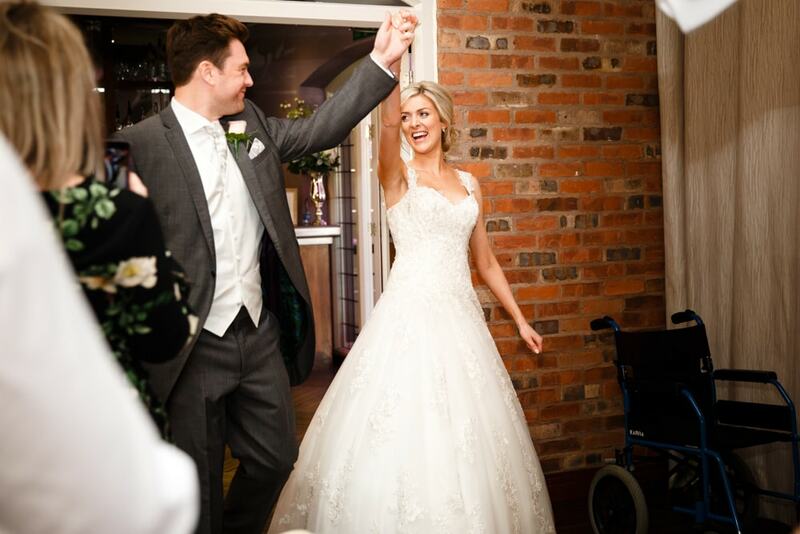 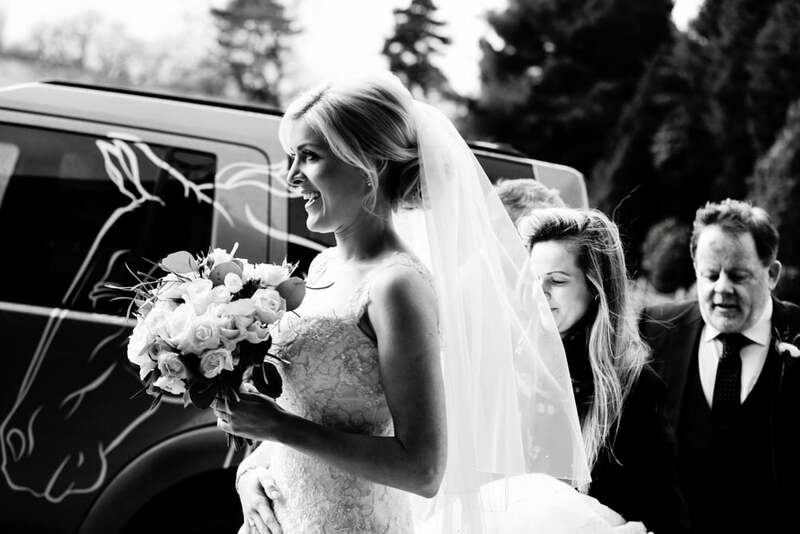 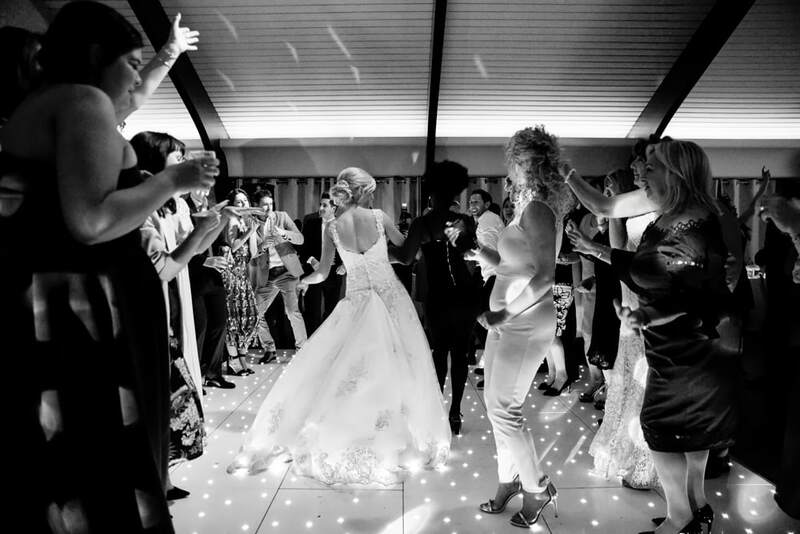 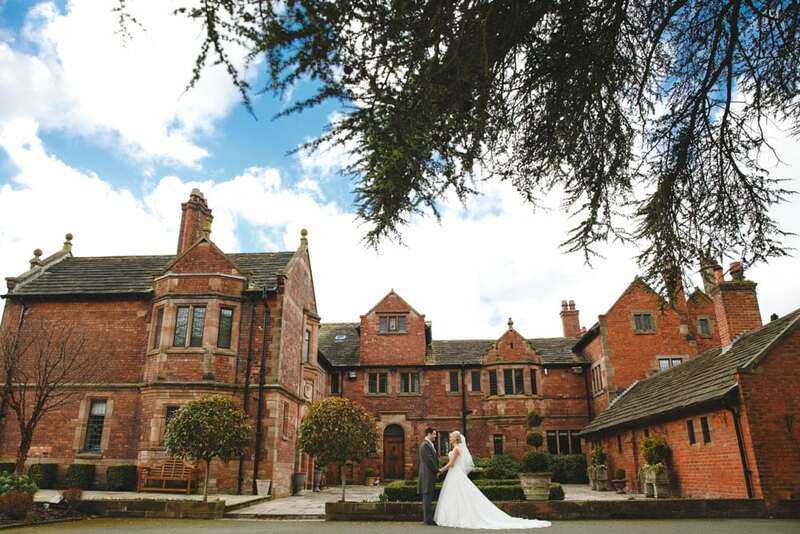 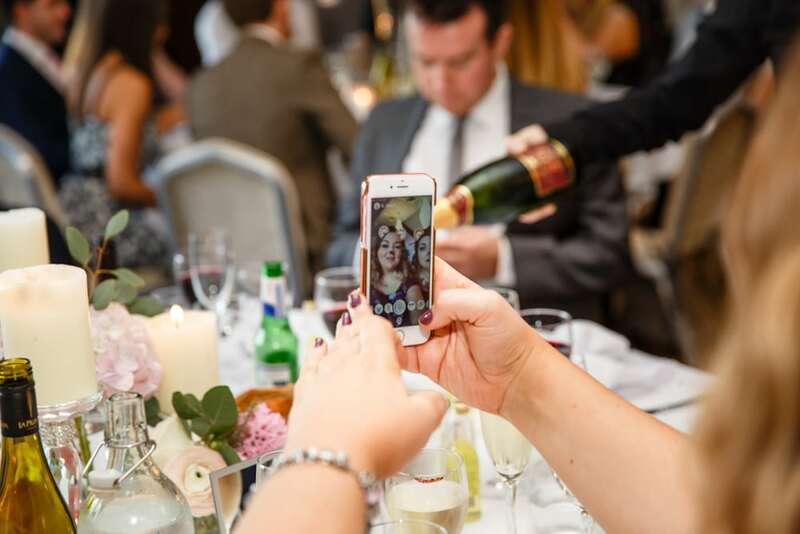 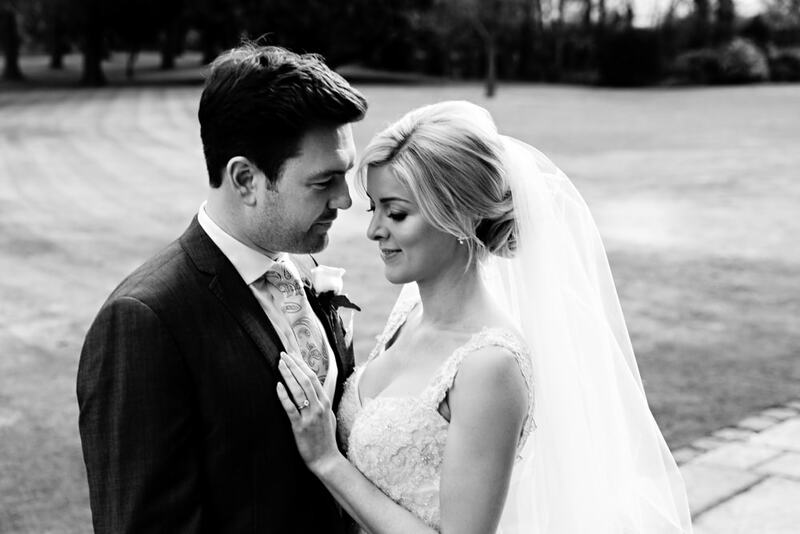 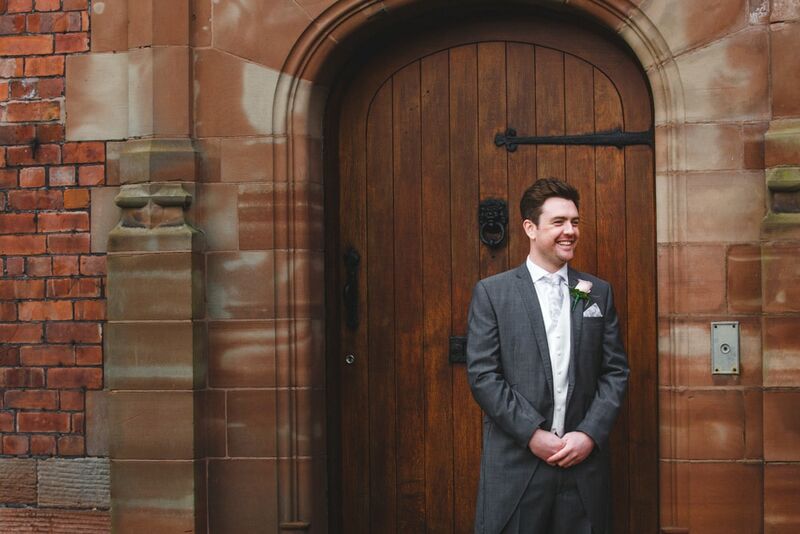 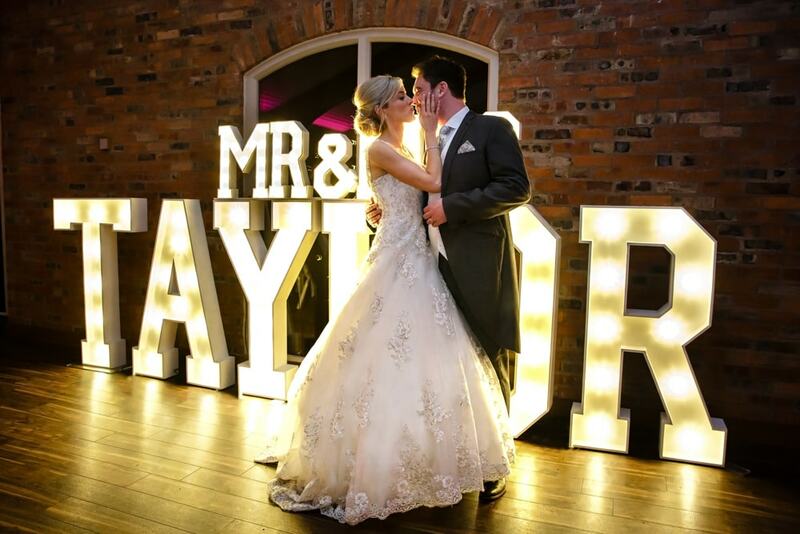 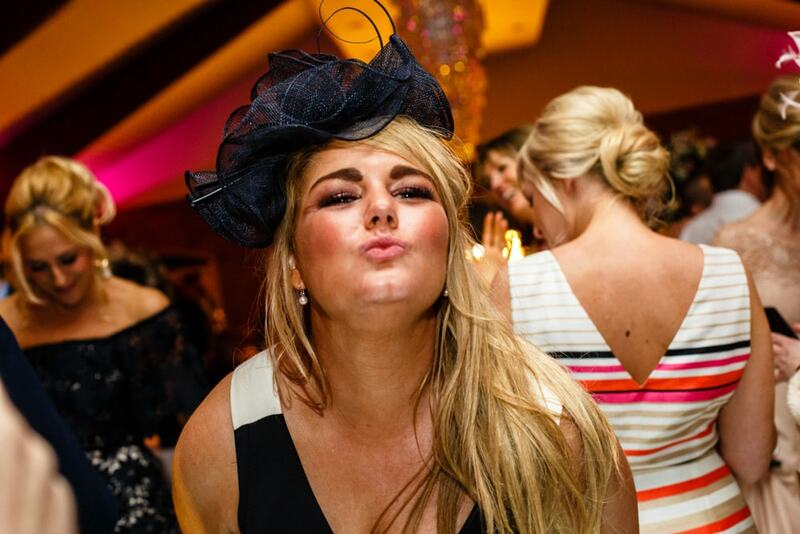 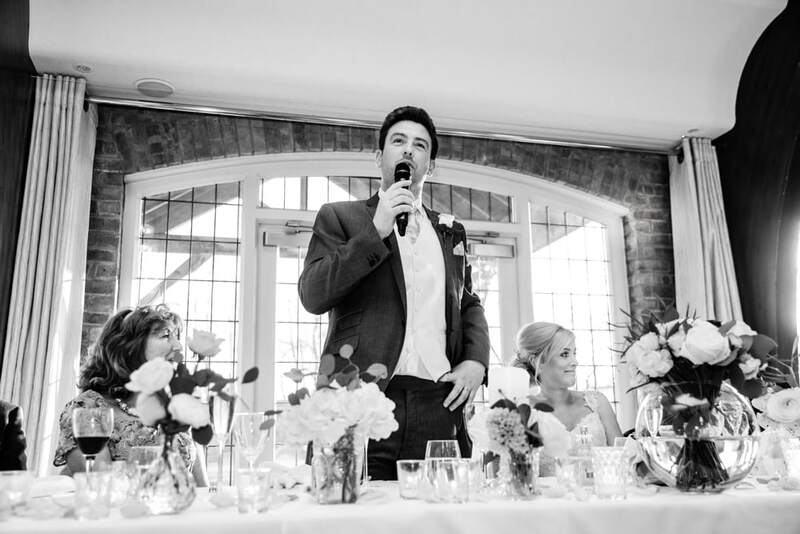 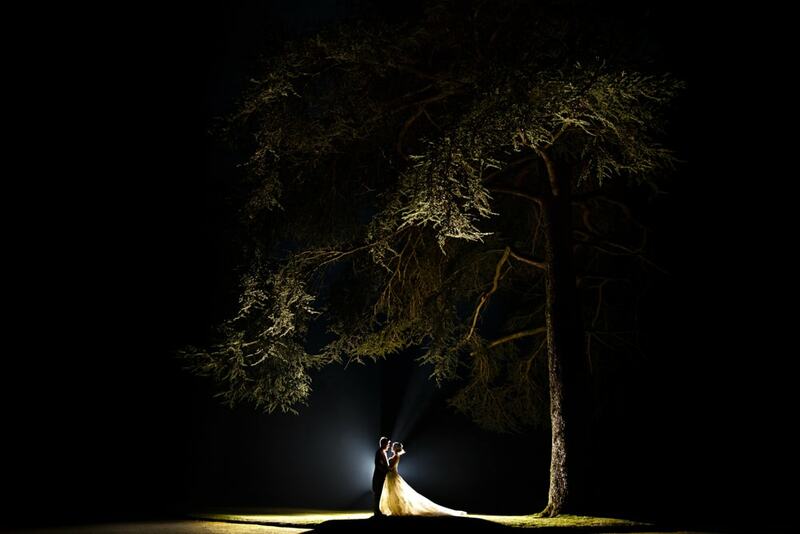 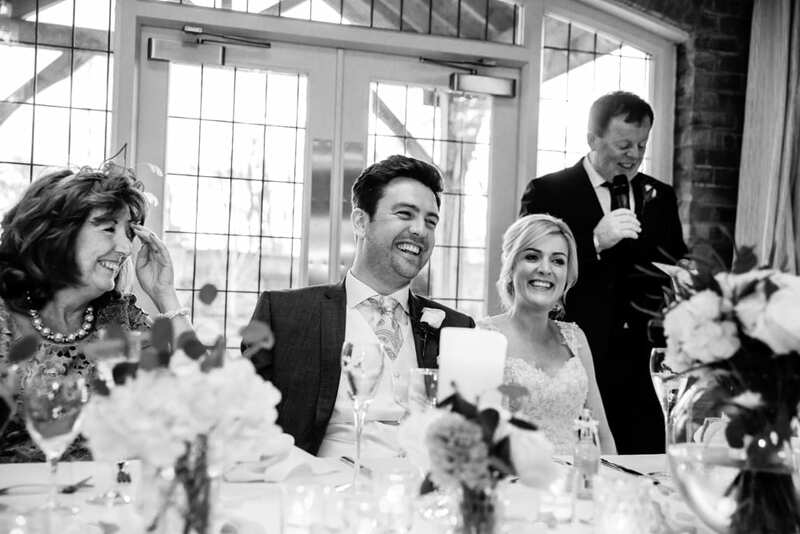 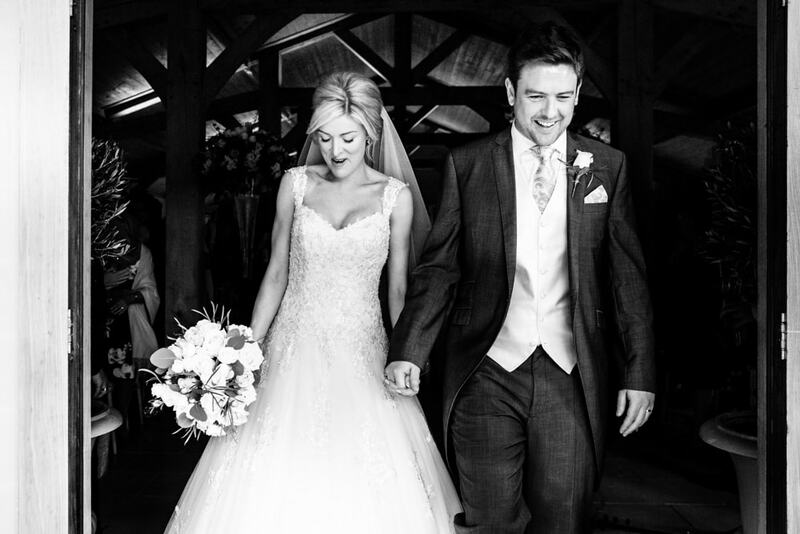 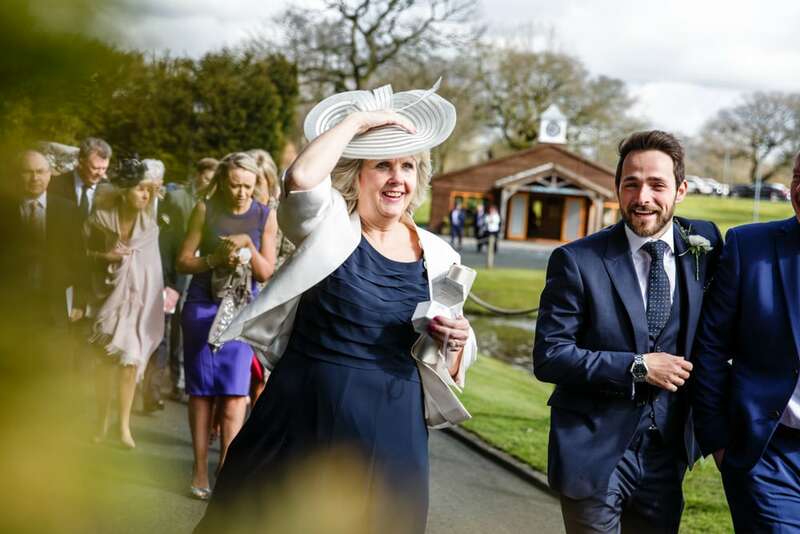 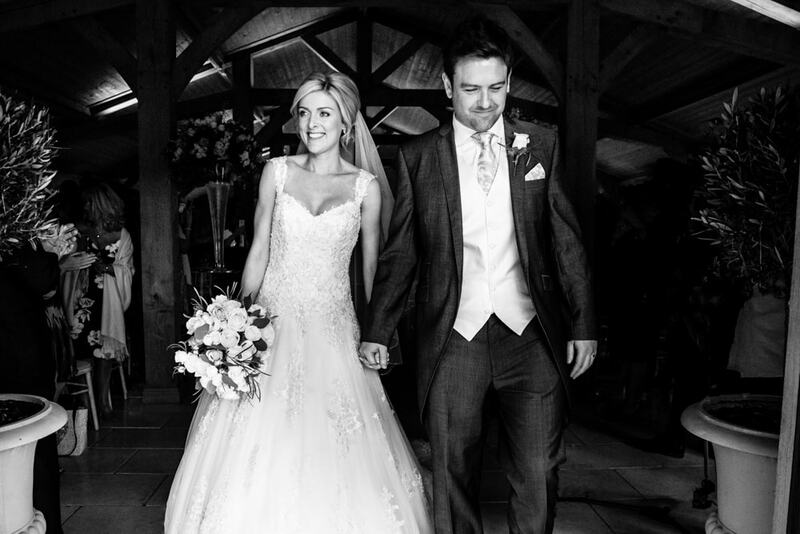 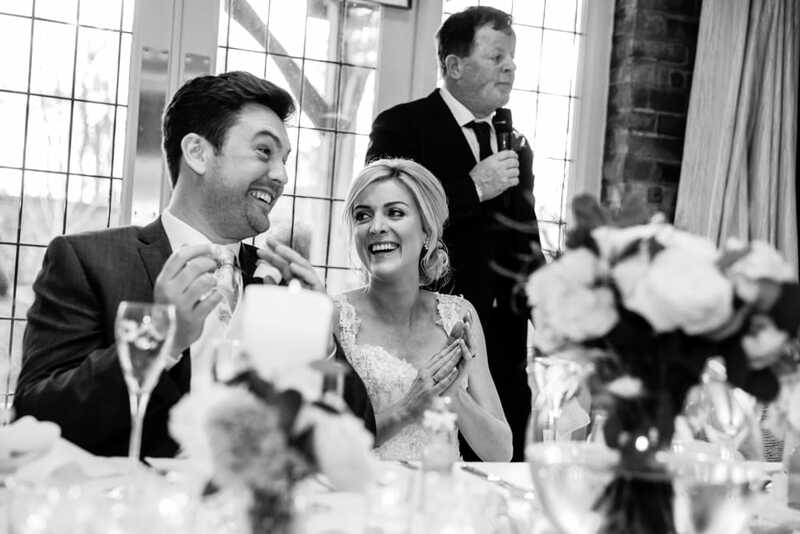 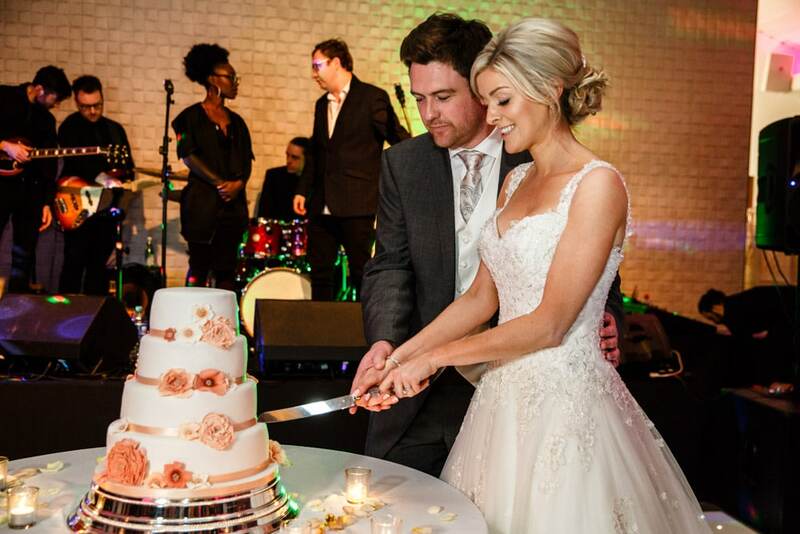 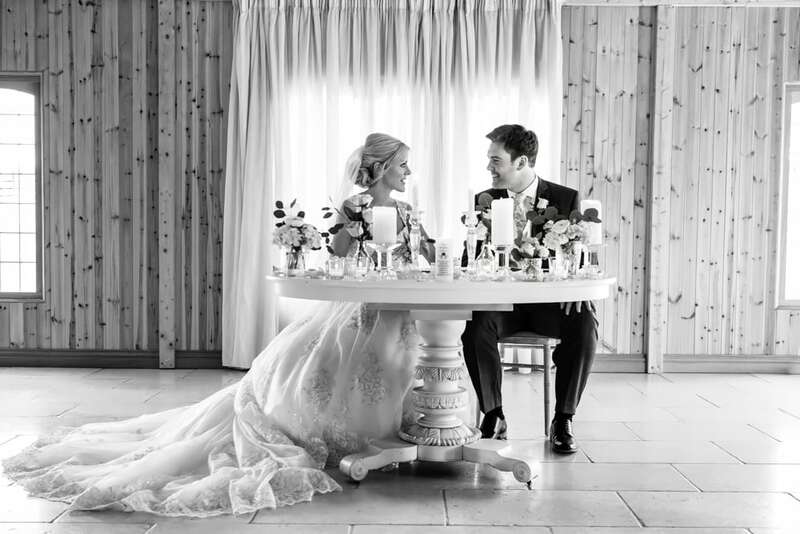 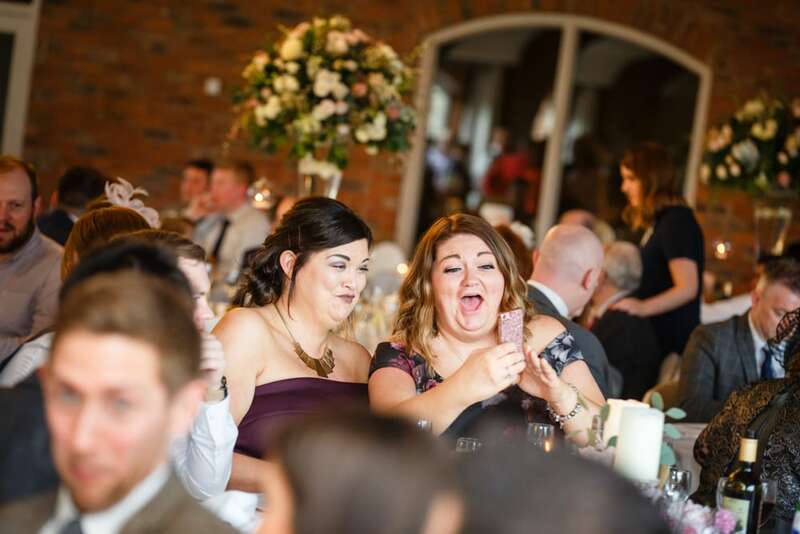 We were super excited when Carey & Andrew contacted us to shoot their Colshaw Hall Wedding. 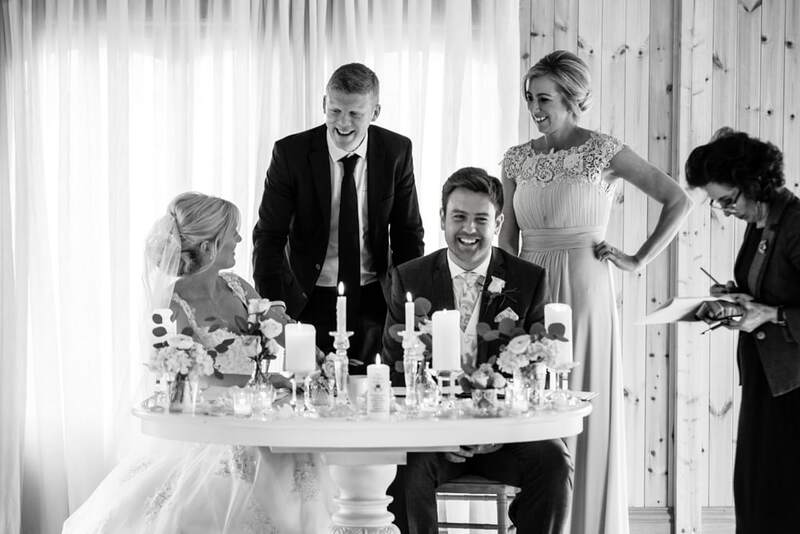 Carey is the sister of one of our previous Groom’s and it was great to catch up with the family again. 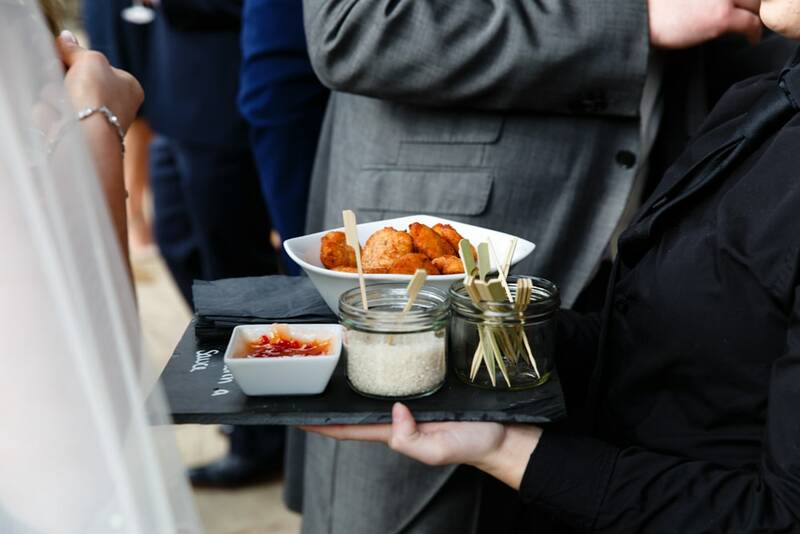 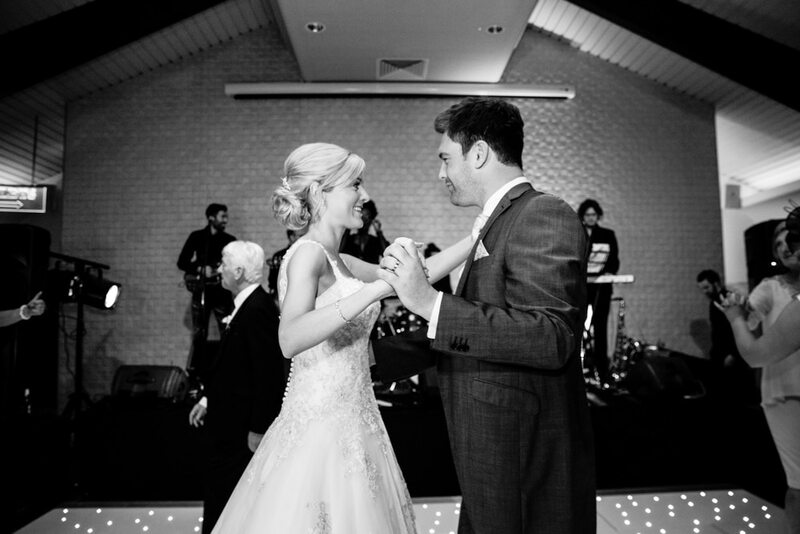 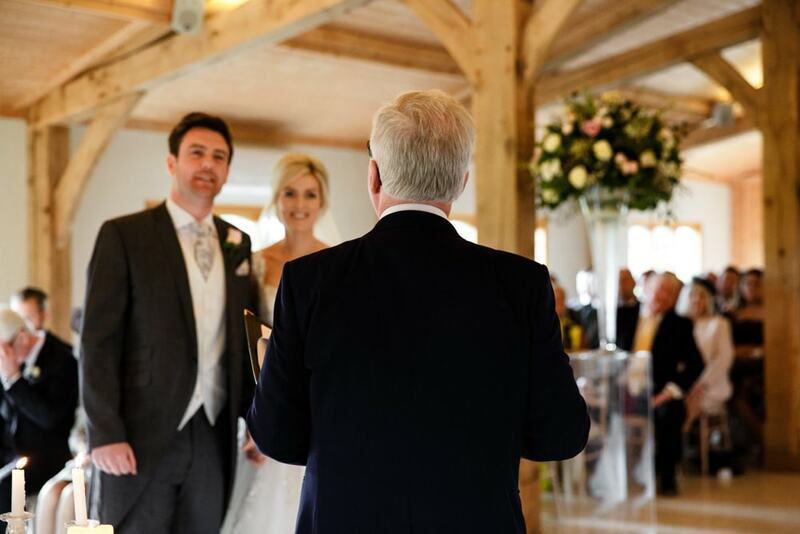 We love recommendations as the couple know exactly how we work and what to expect as they’ve seen us in action. 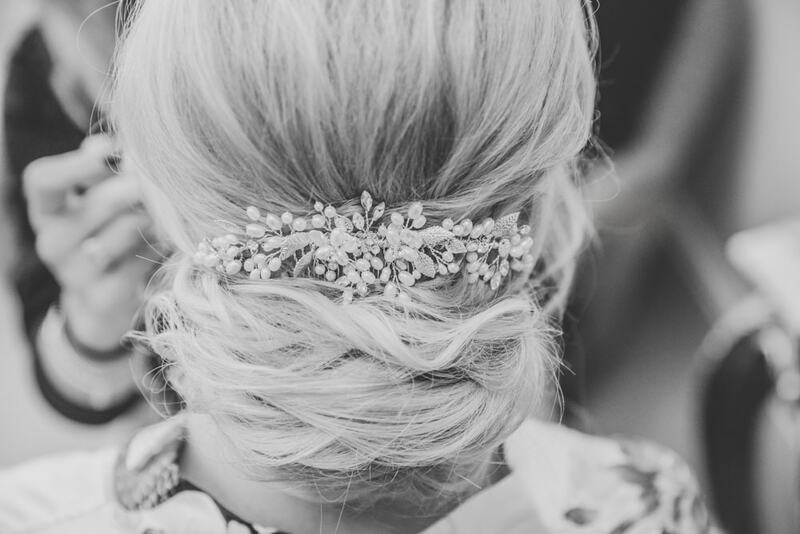 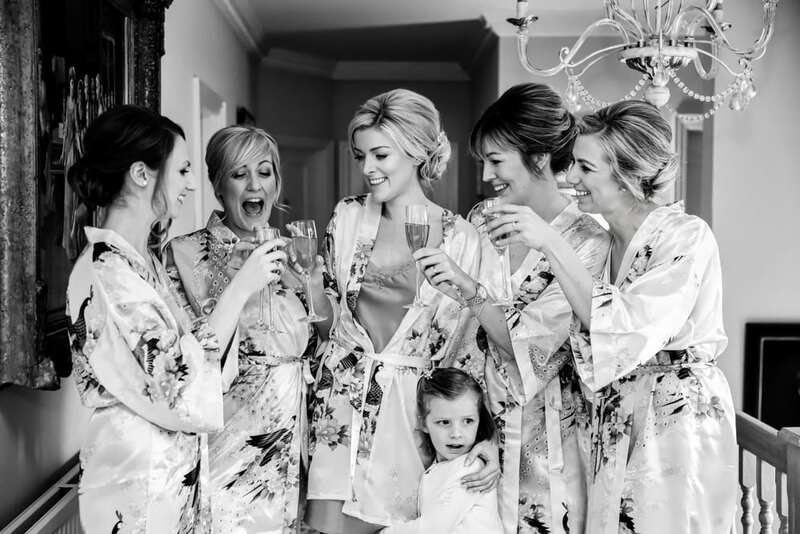 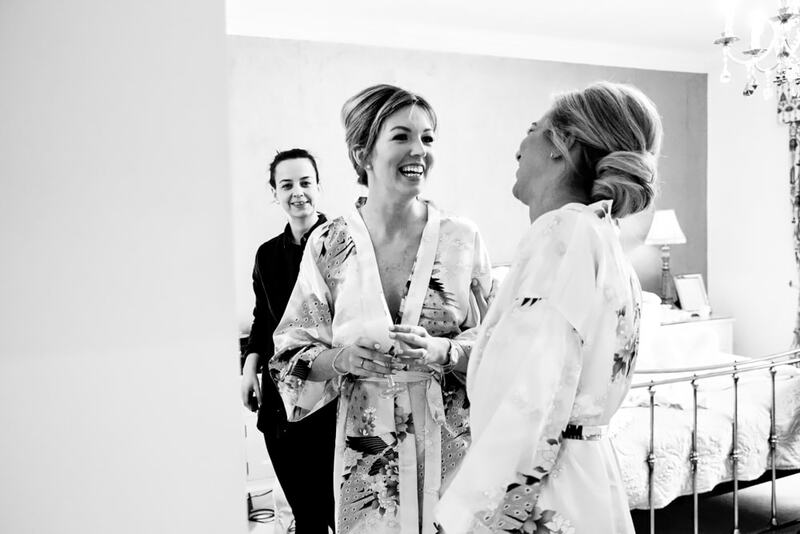 The morning of the wedding was really relaxed and Carey had her trusted team Bridal by Frankie doing the Makeup and Vicky M Hair doing the wonderful hair. 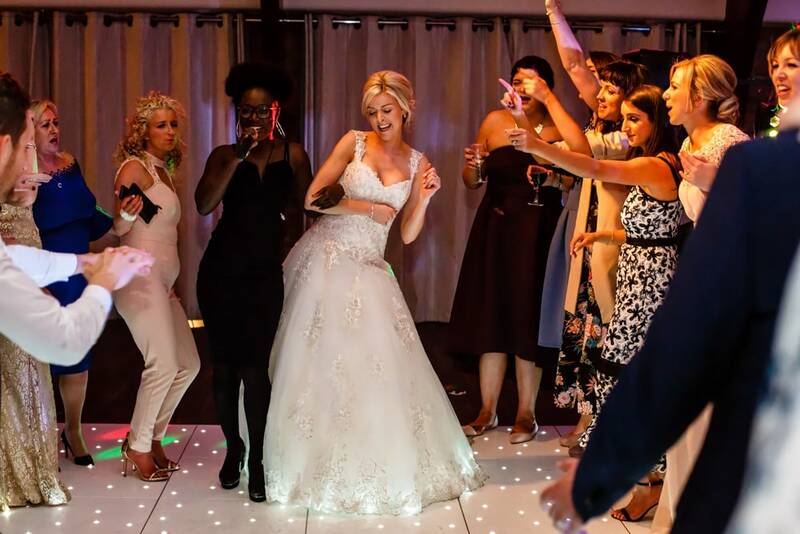 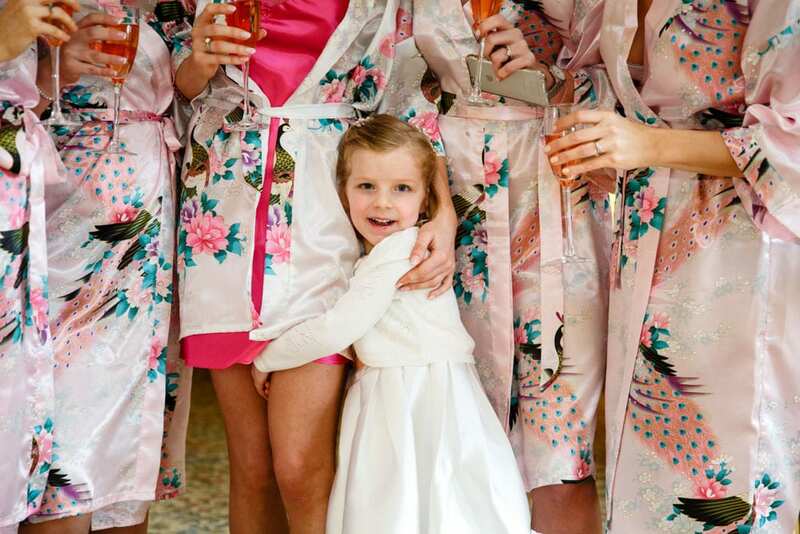 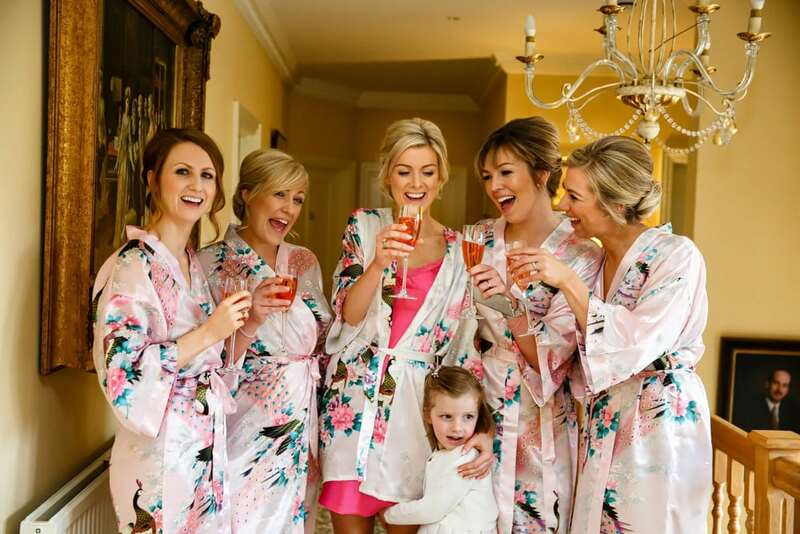 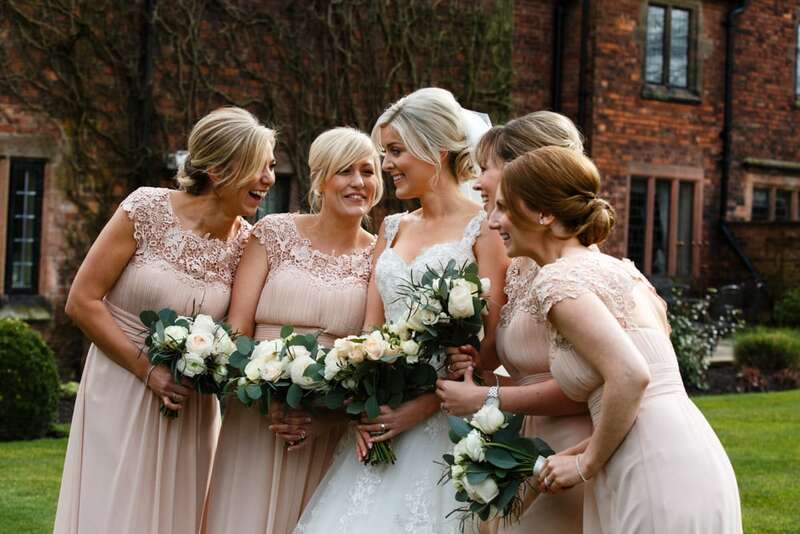 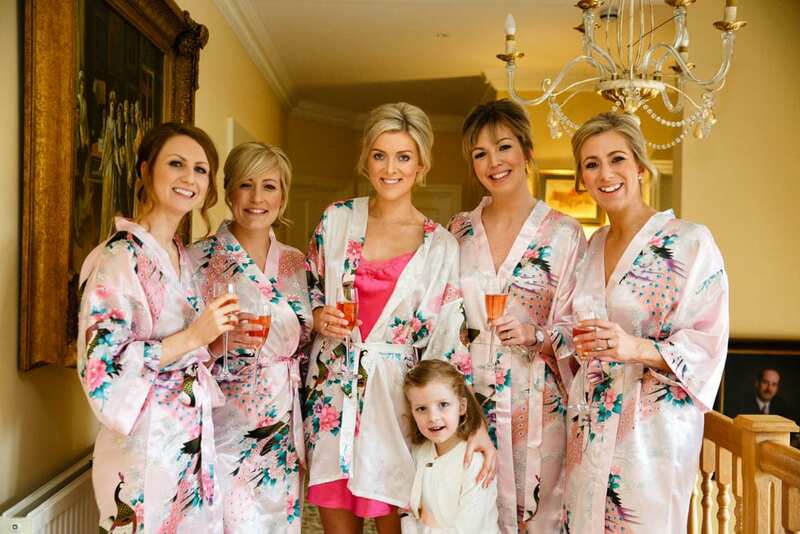 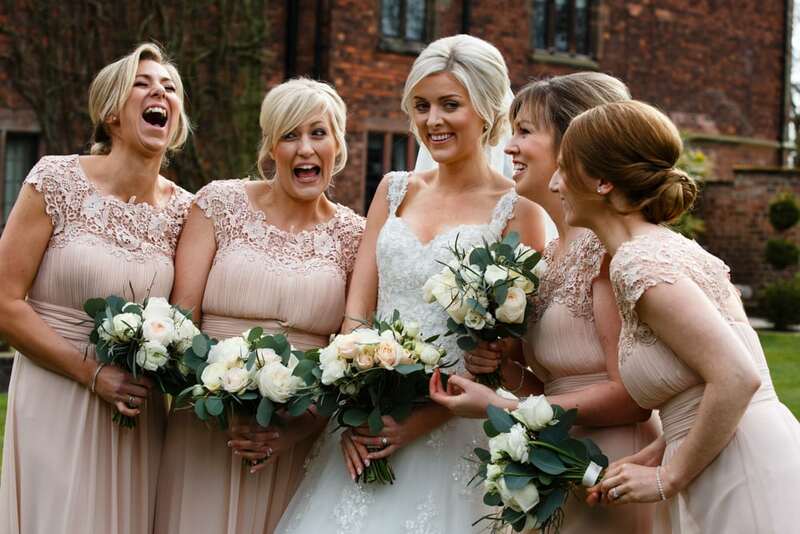 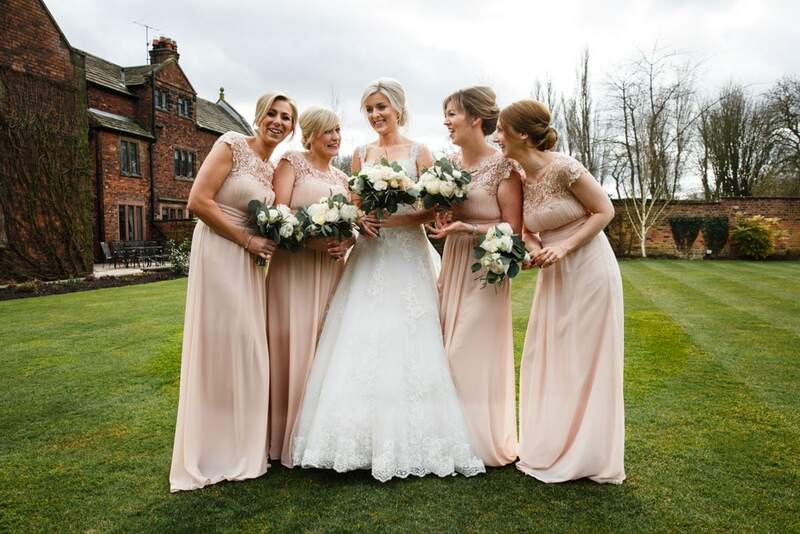 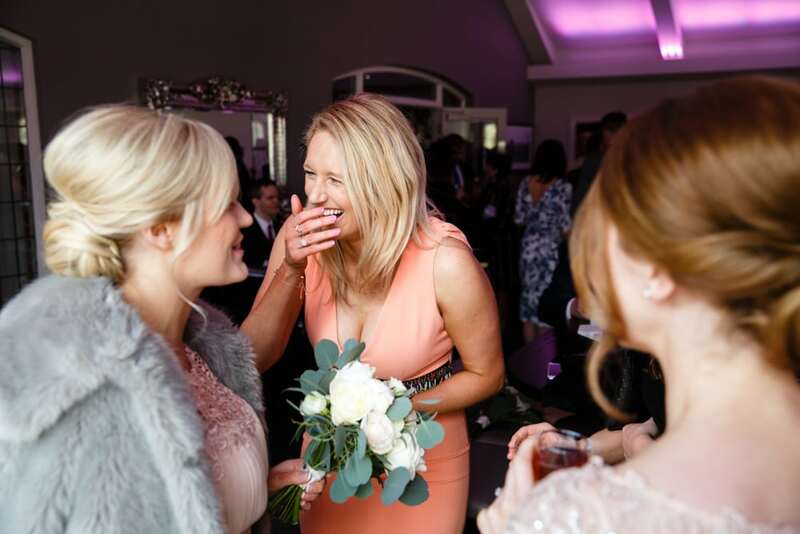 Everyone was over the moon with their looks and some of the bridesmaids commented on “it’s the best they’ve ever looked” which is such a great compliment as these ladies do an exceptional job. 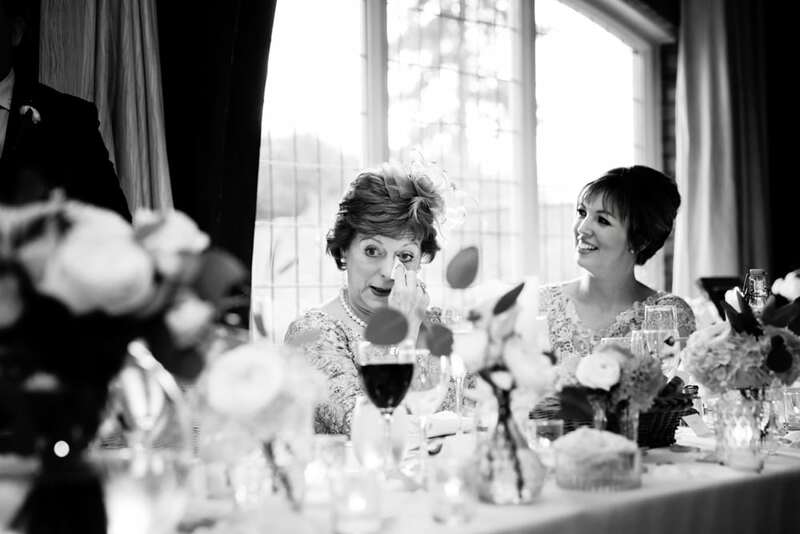 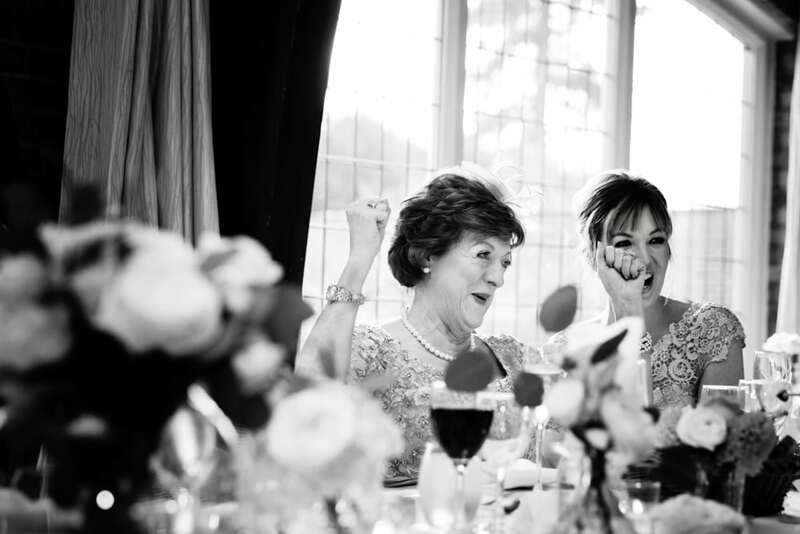 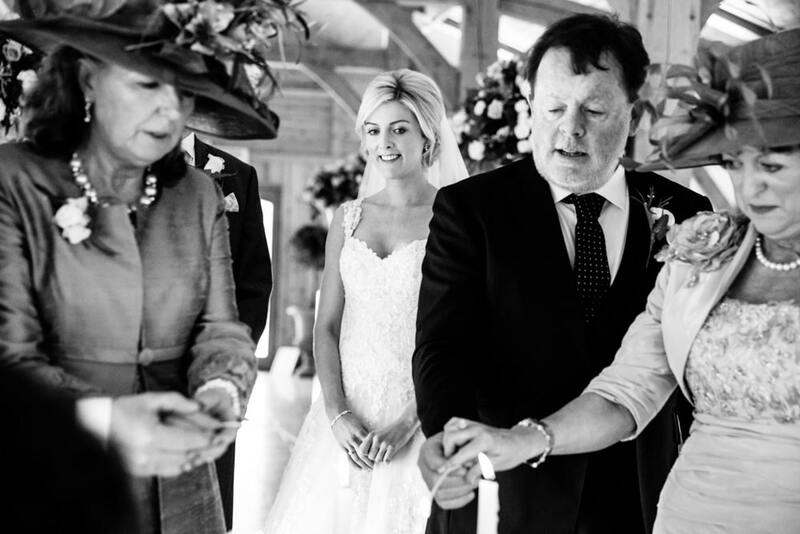 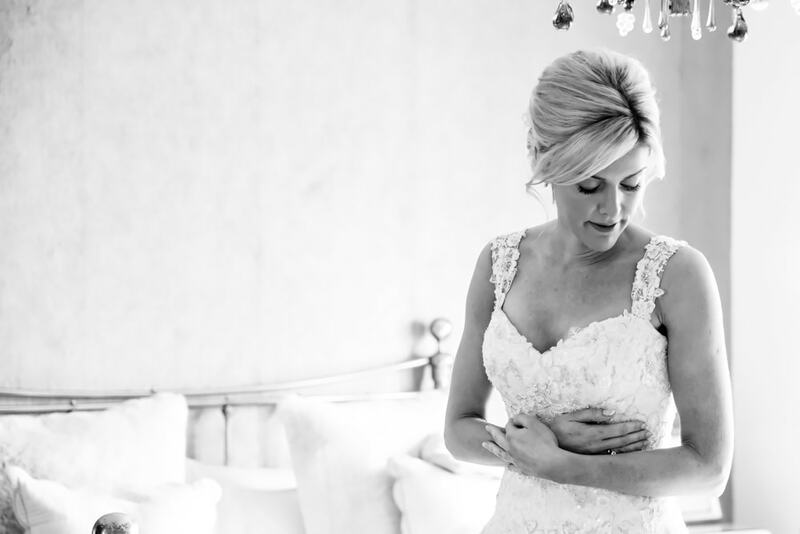 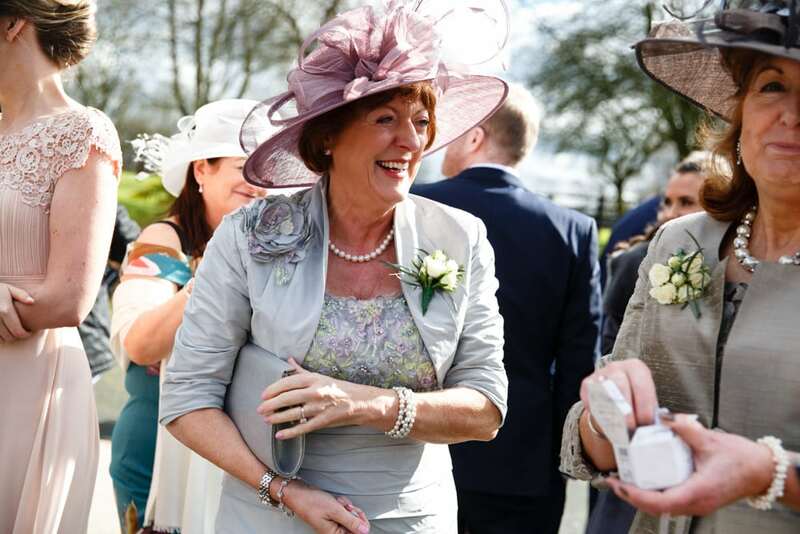 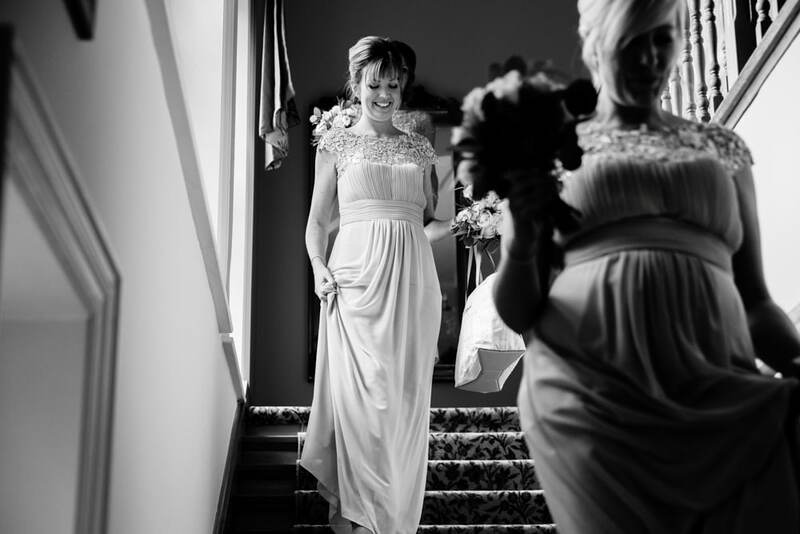 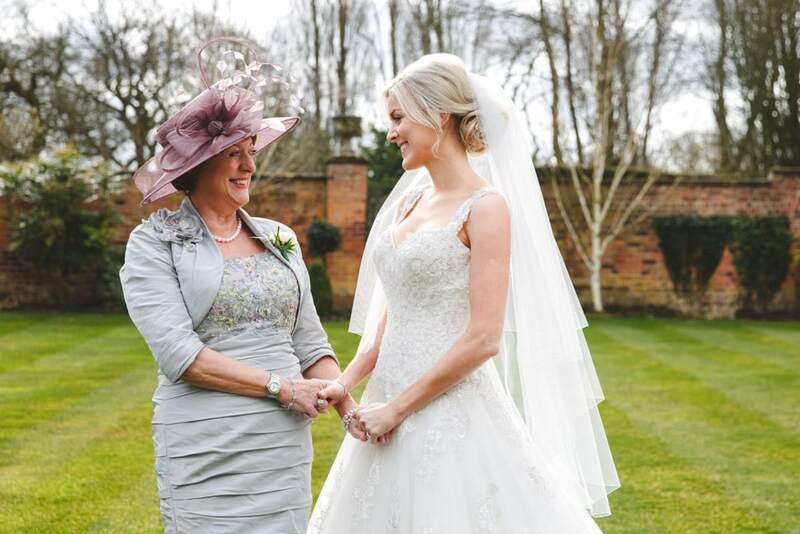 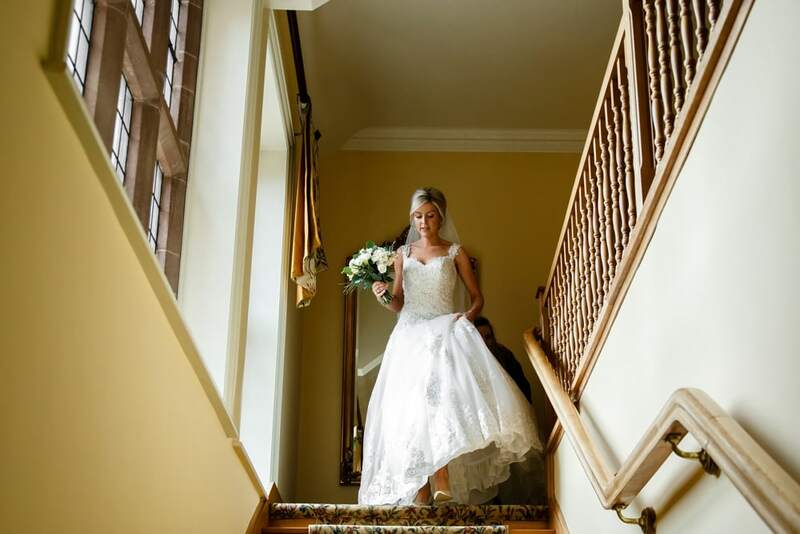 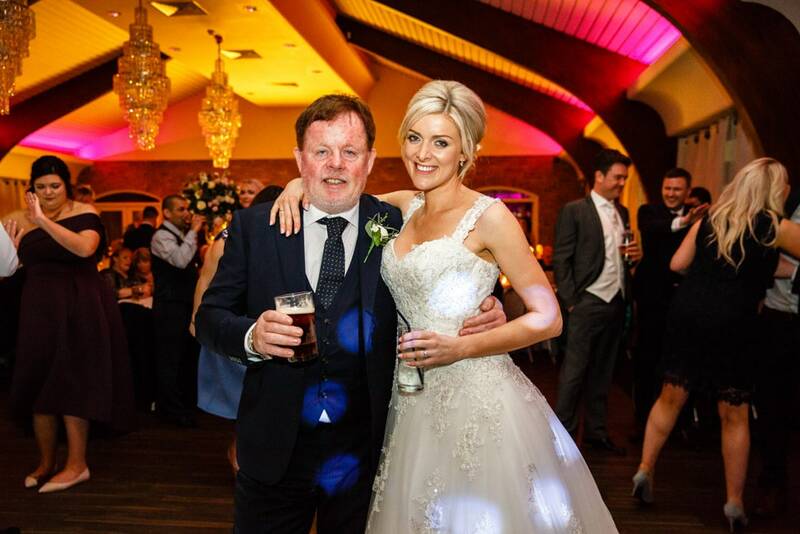 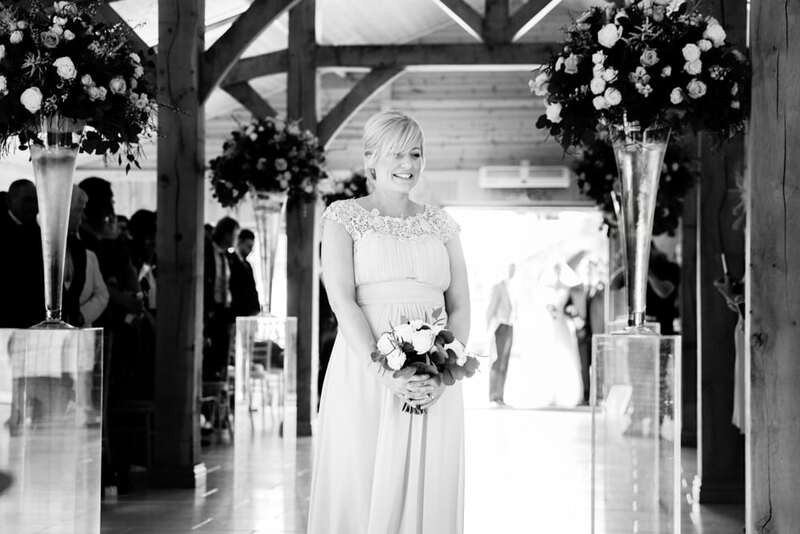 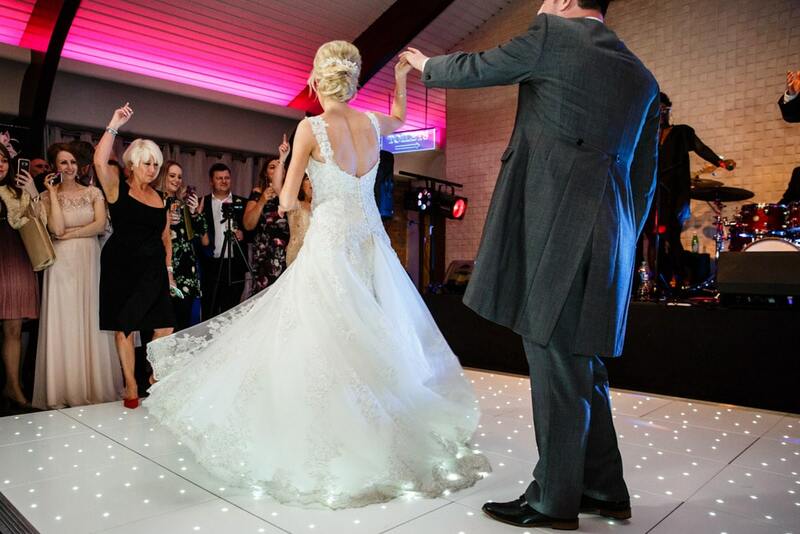 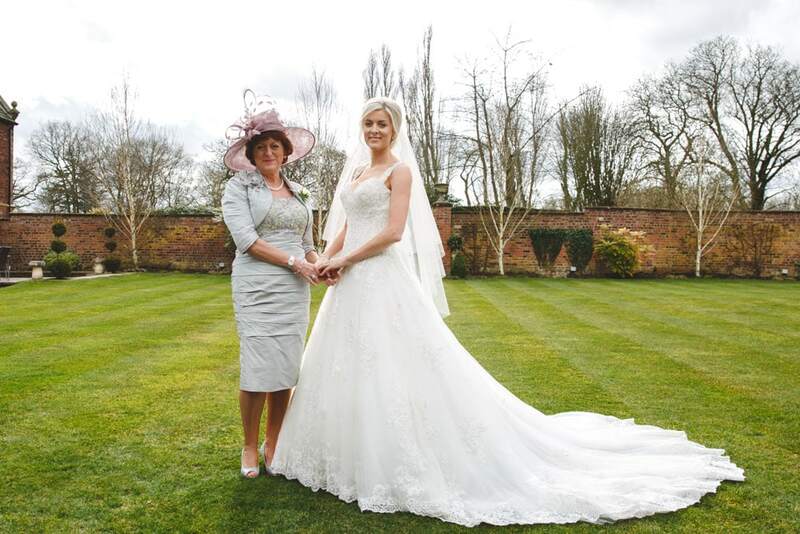 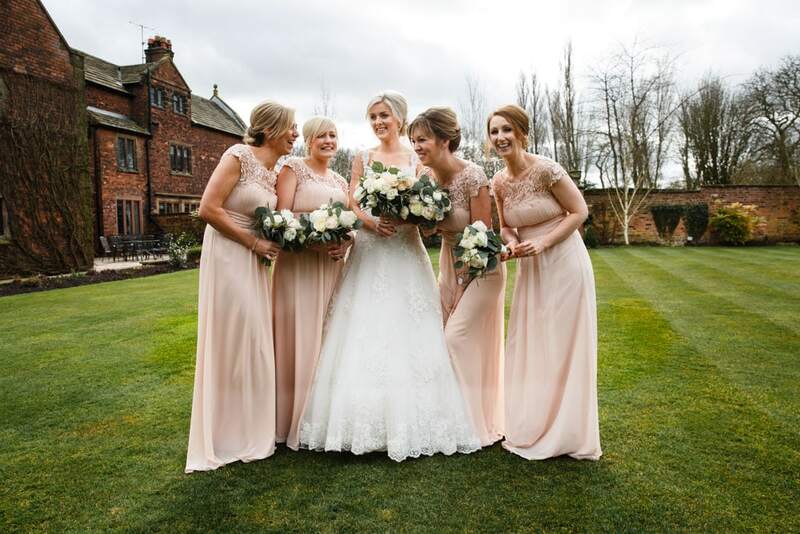 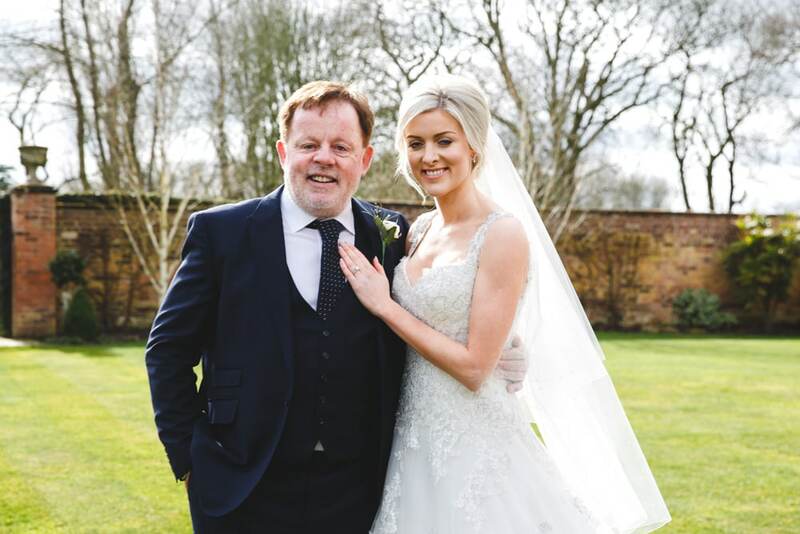 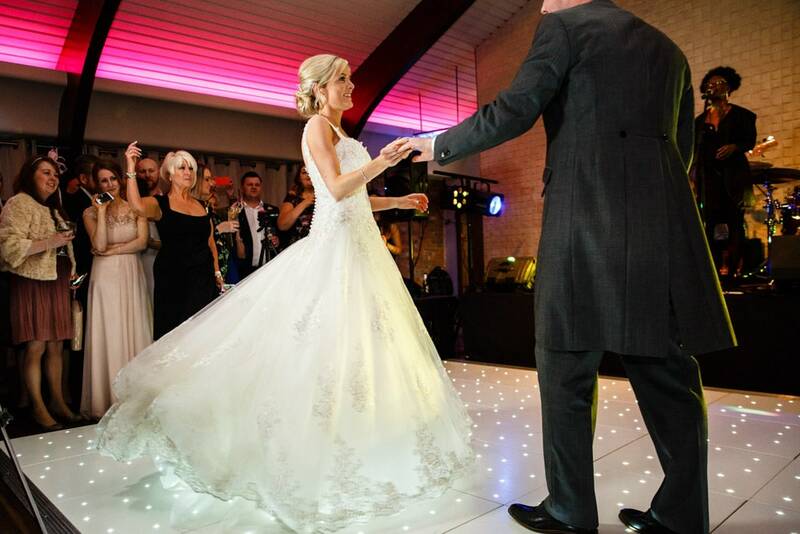 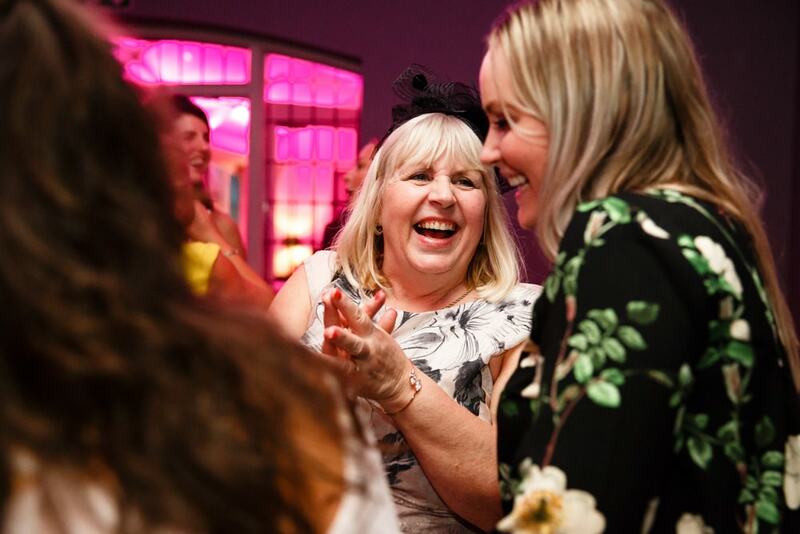 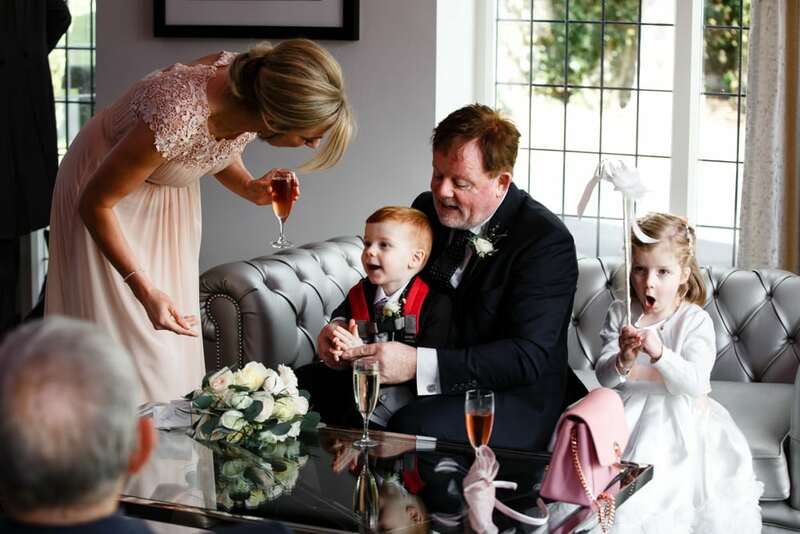 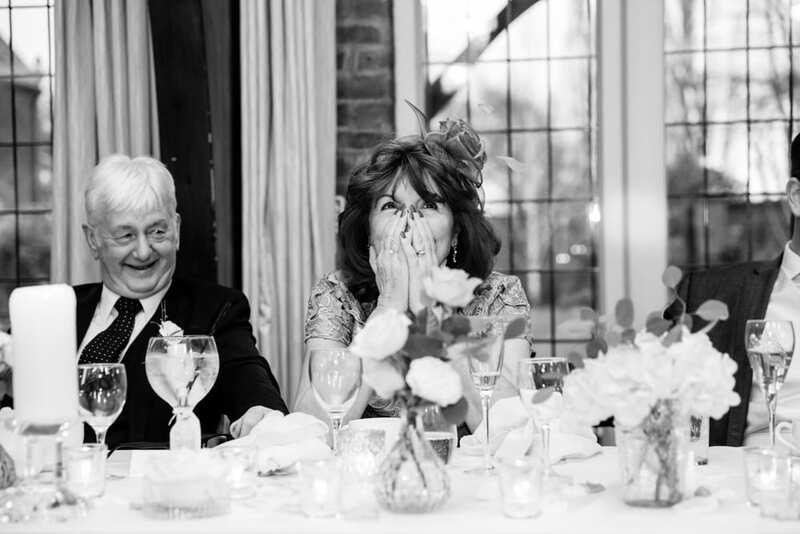 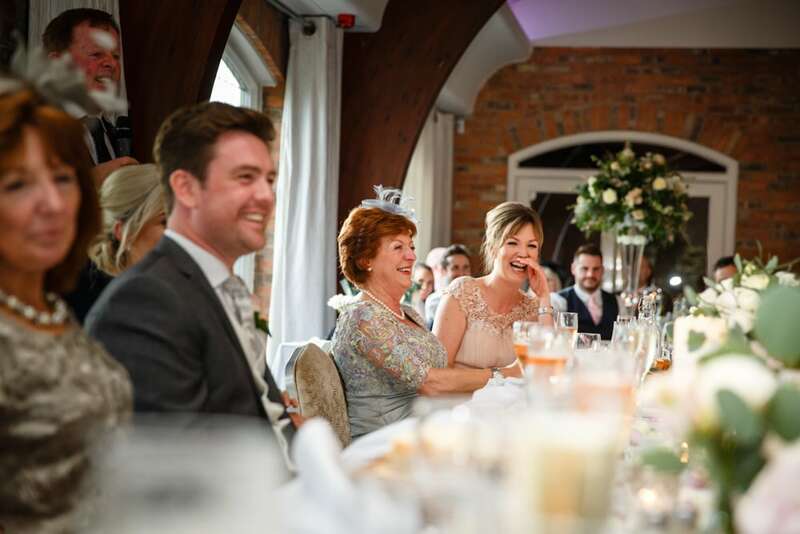 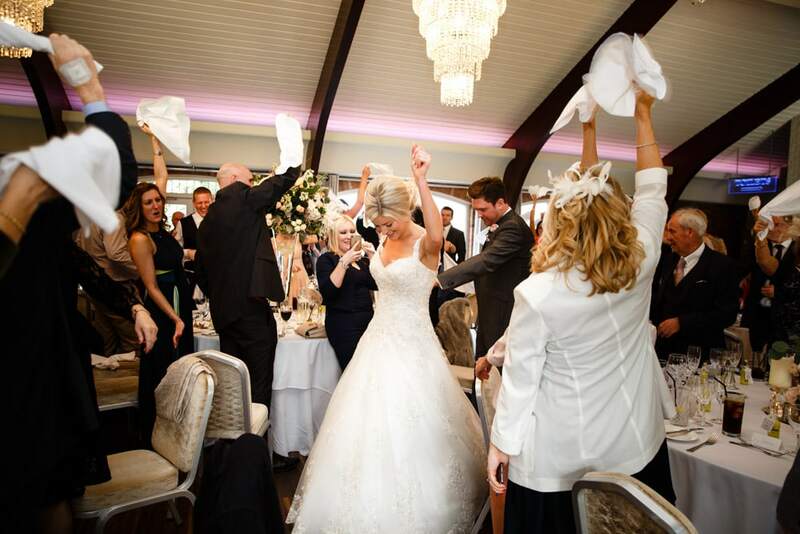 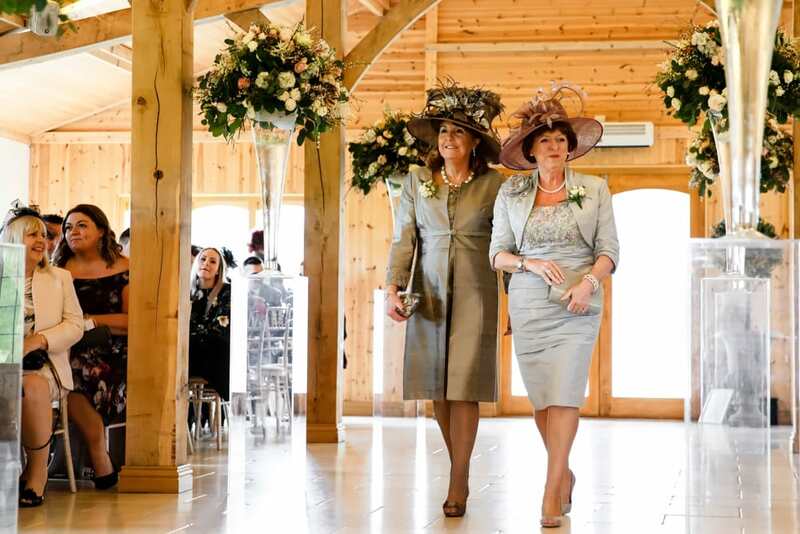 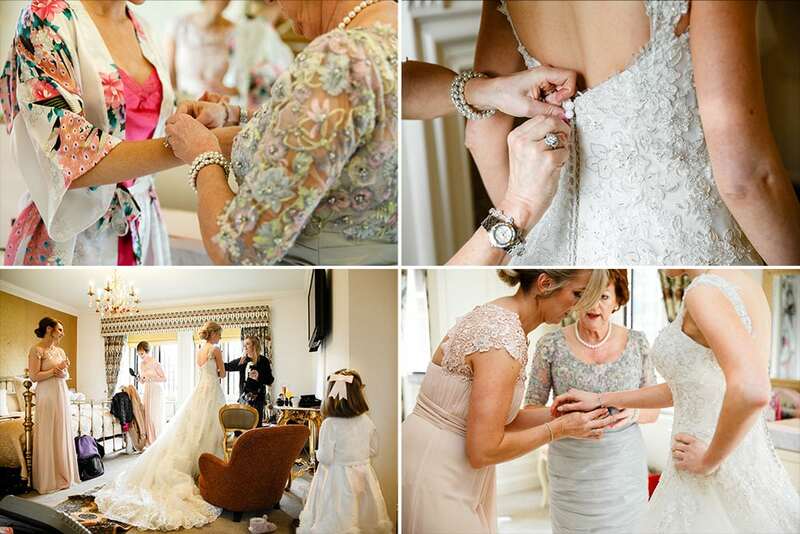 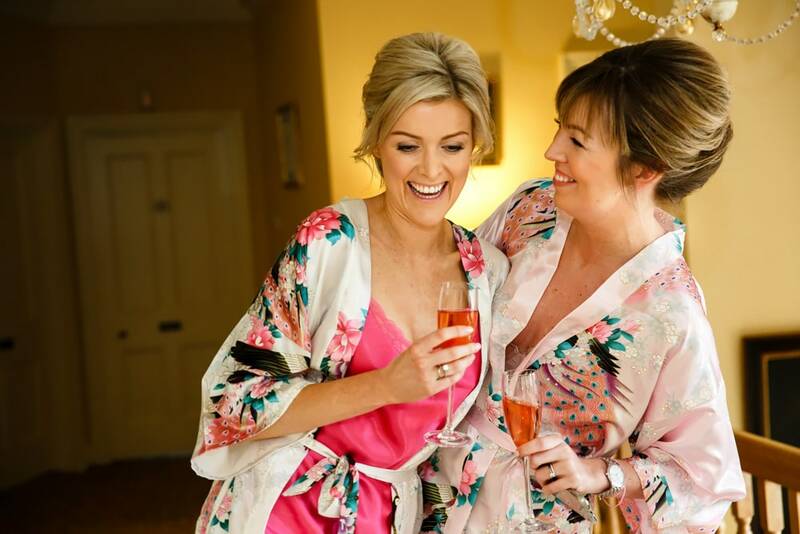 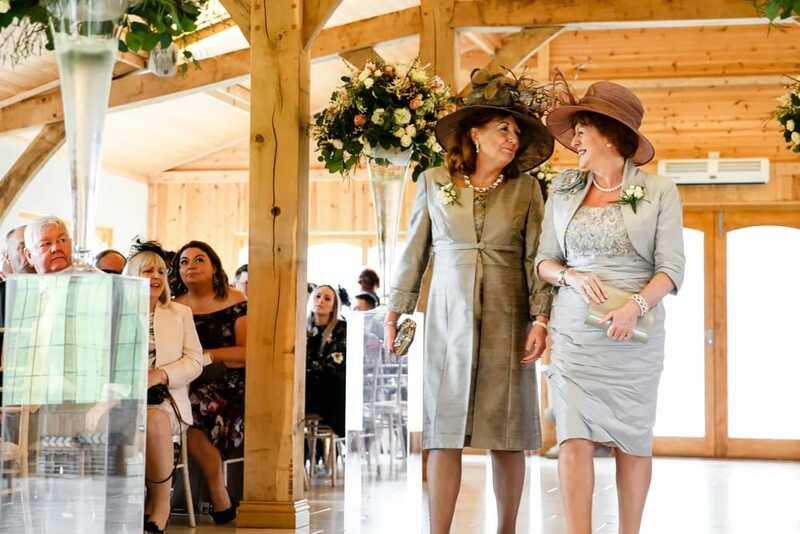 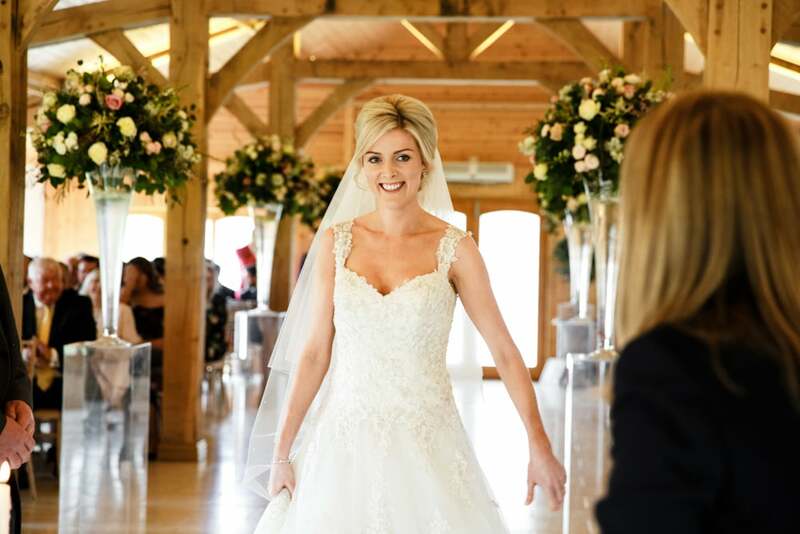 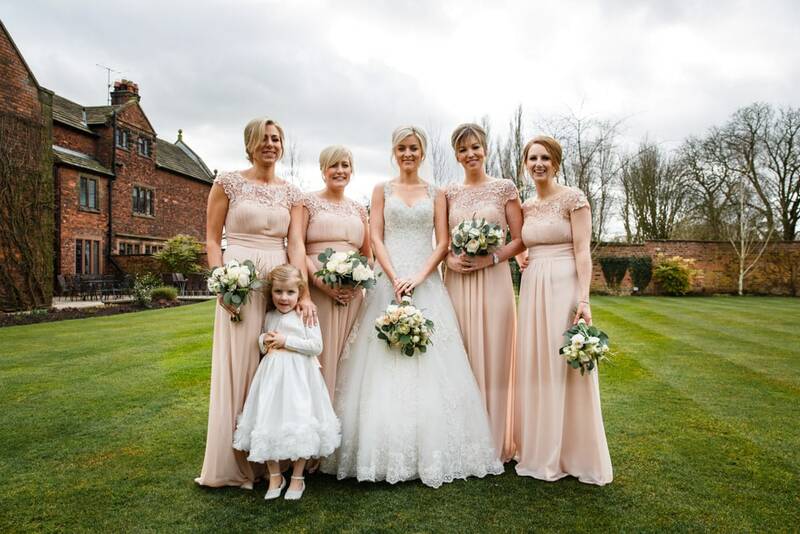 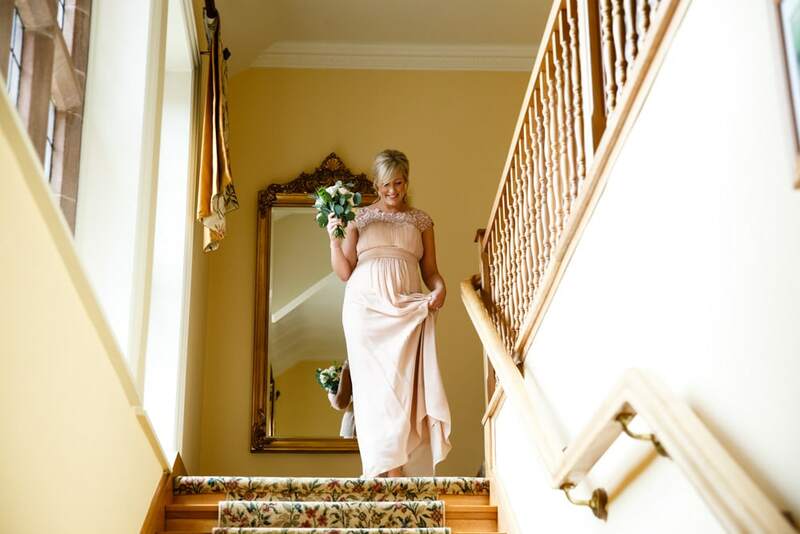 Carey spent some time with her mum alone getting into the dress which is a lovely moment for the bride and her mum, the dress by Emma Louise Bridal looked amazing on Carey. 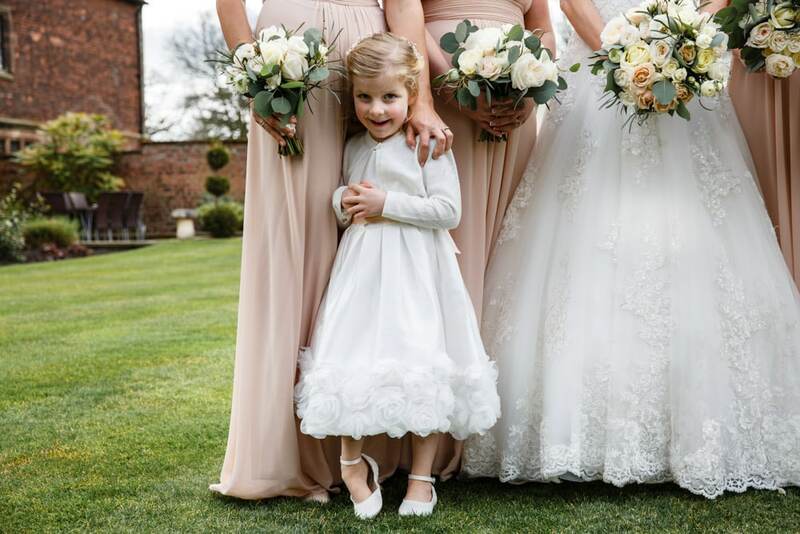 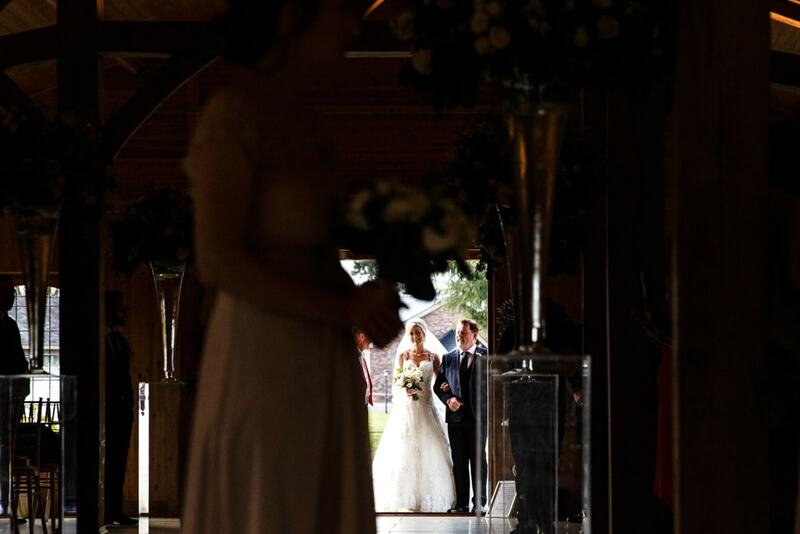 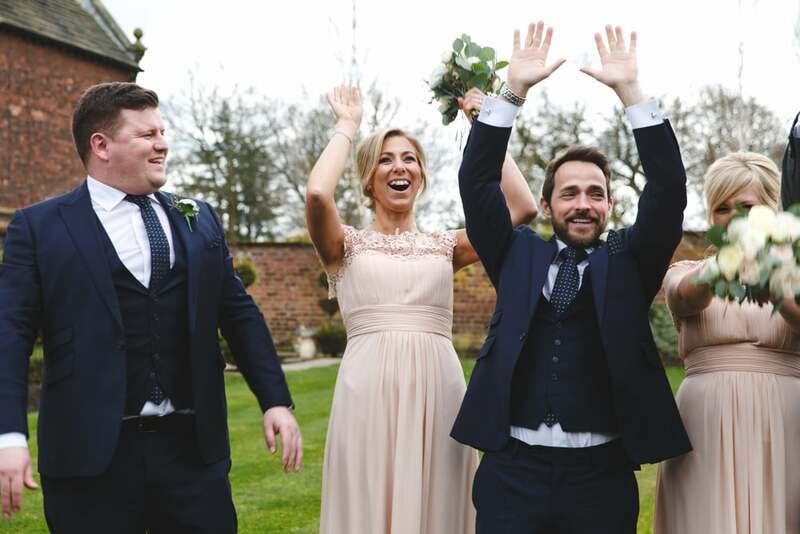 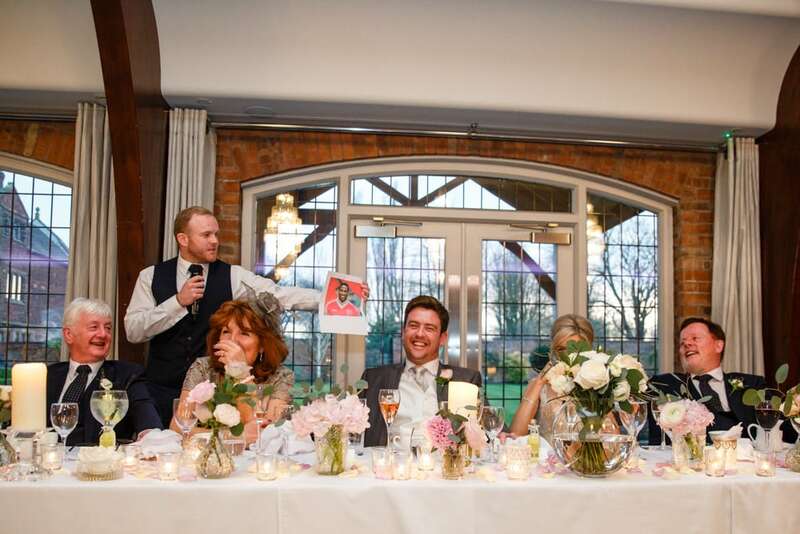 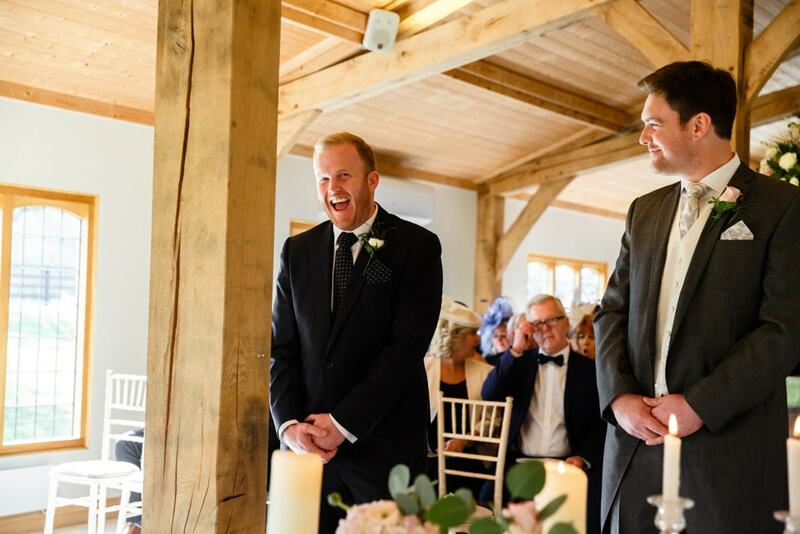 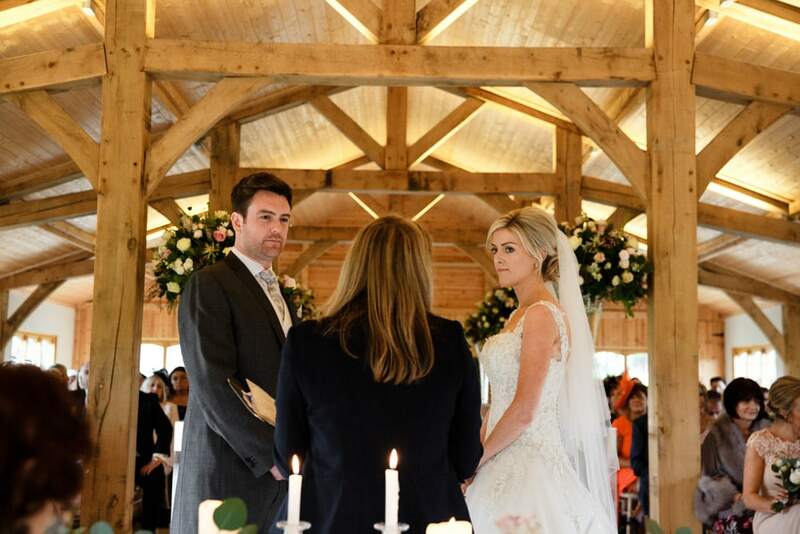 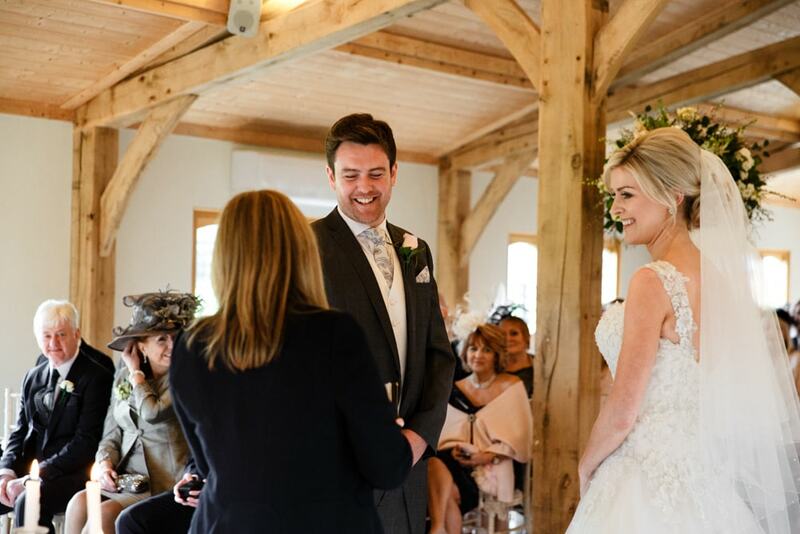 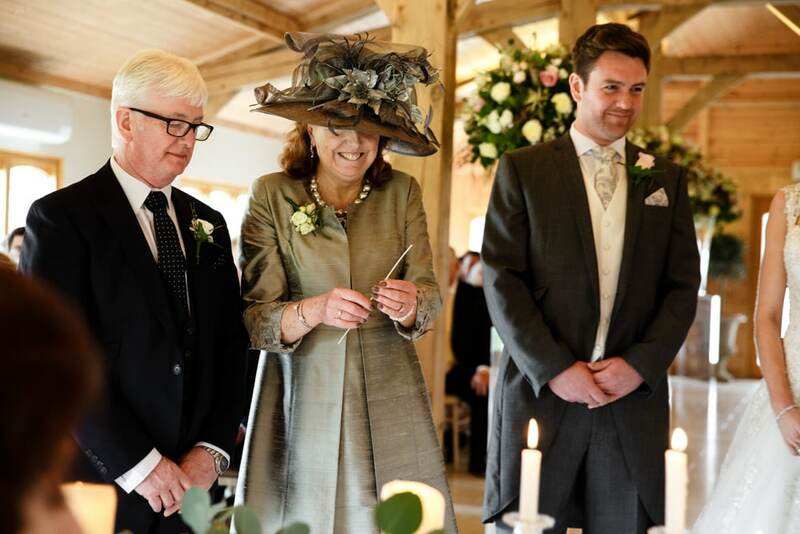 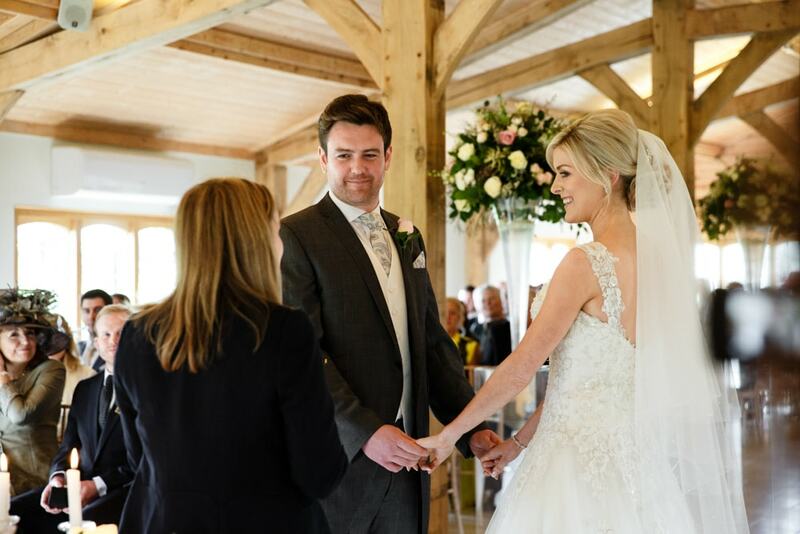 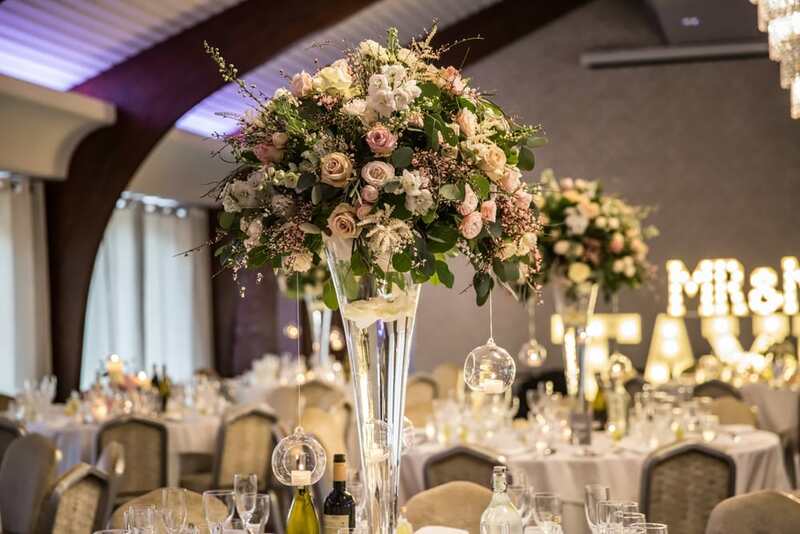 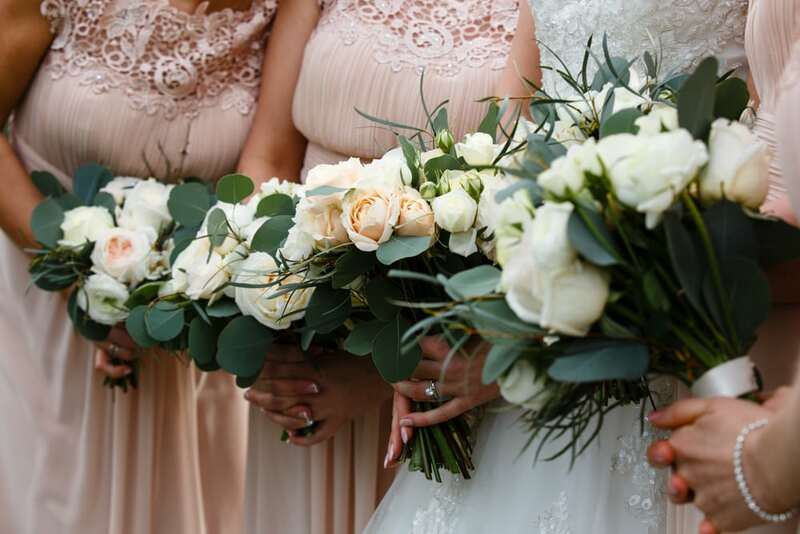 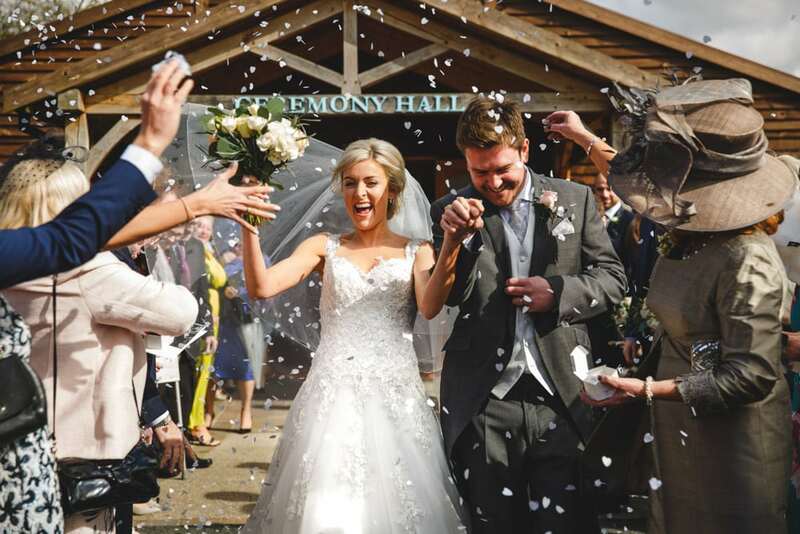 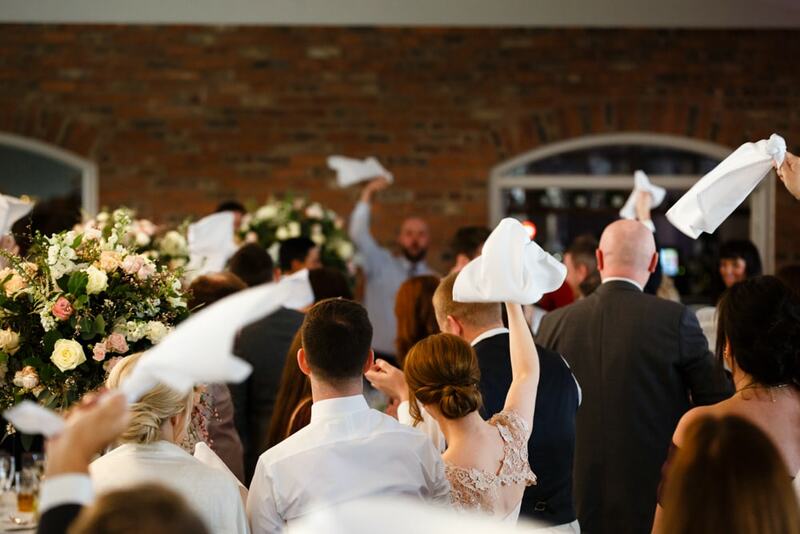 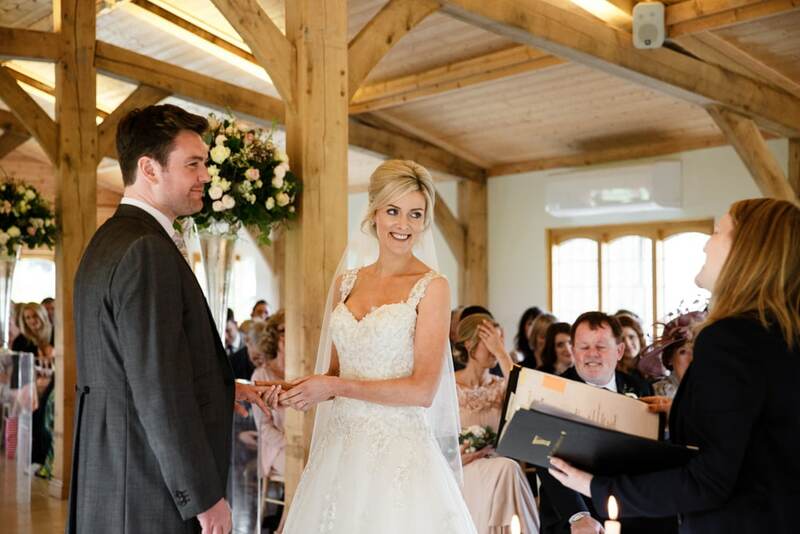 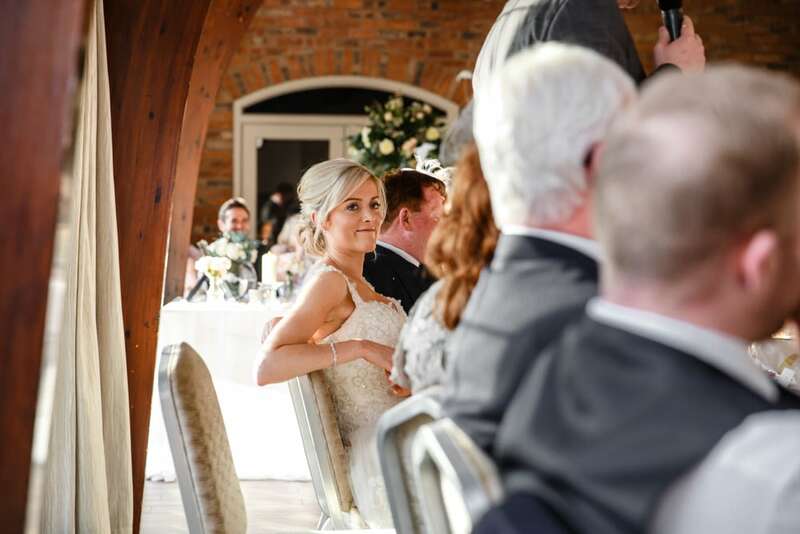 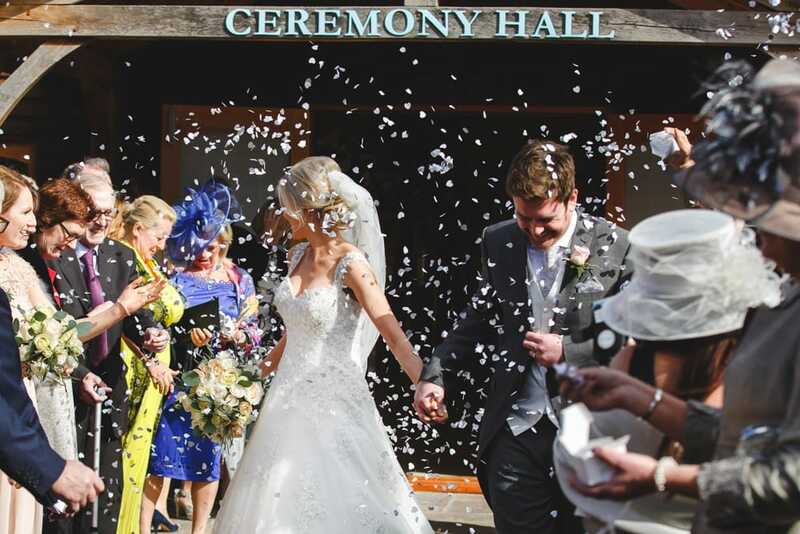 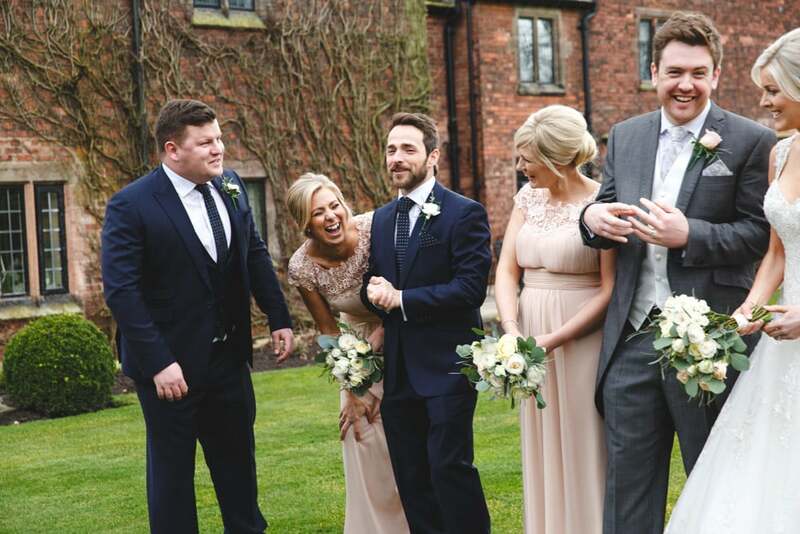 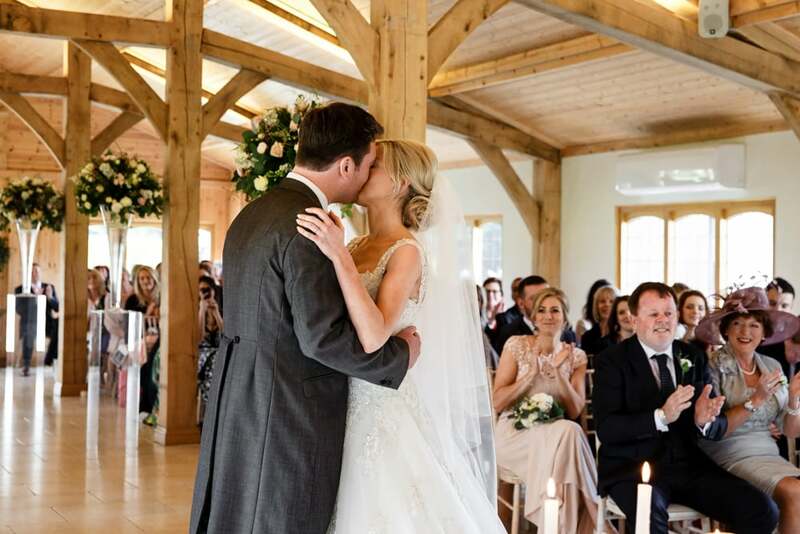 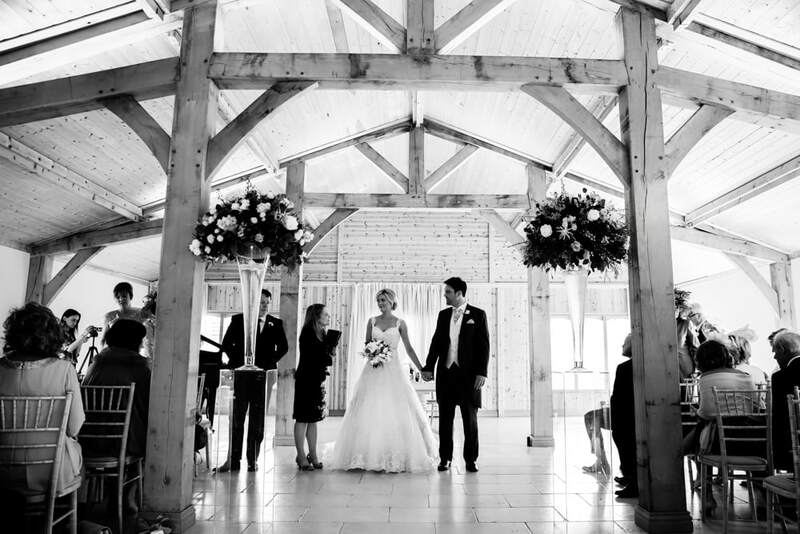 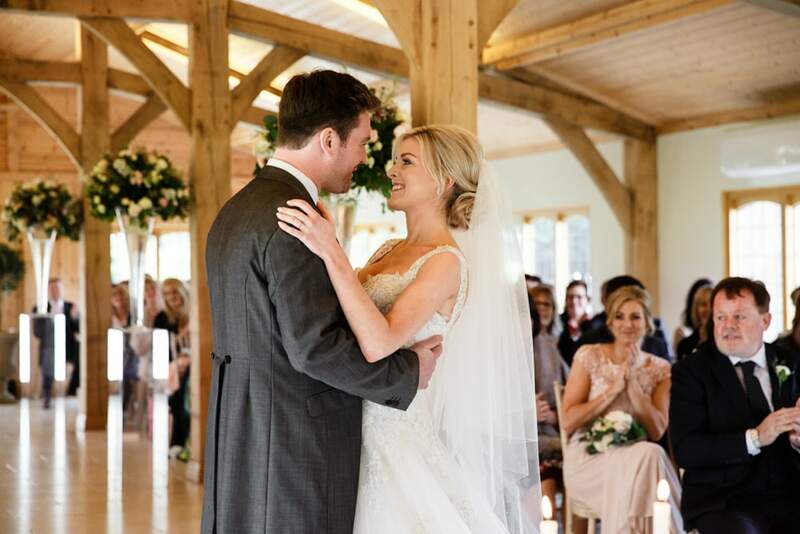 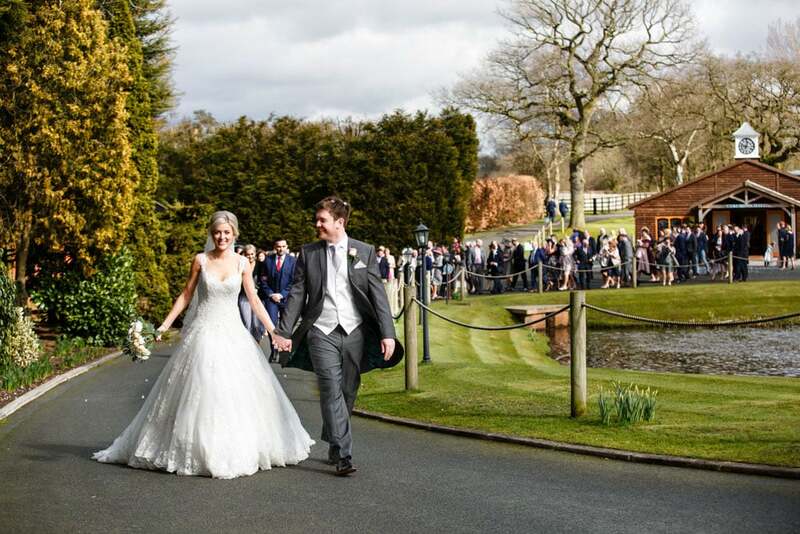 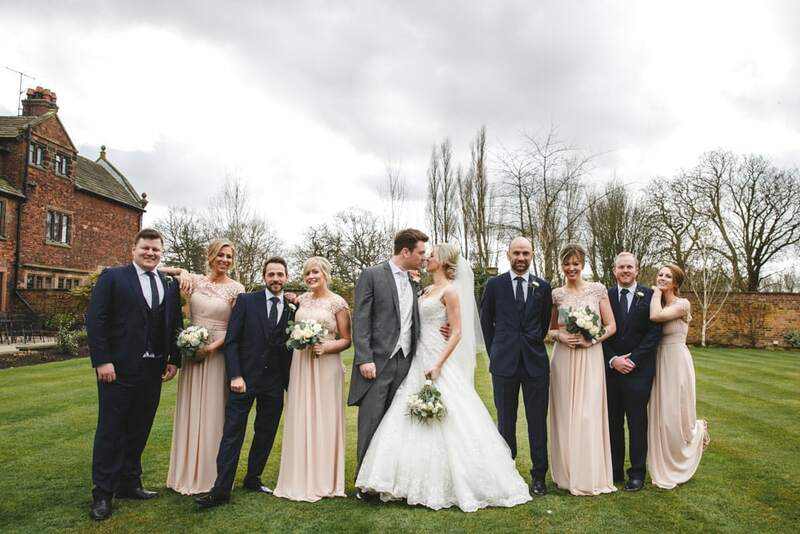 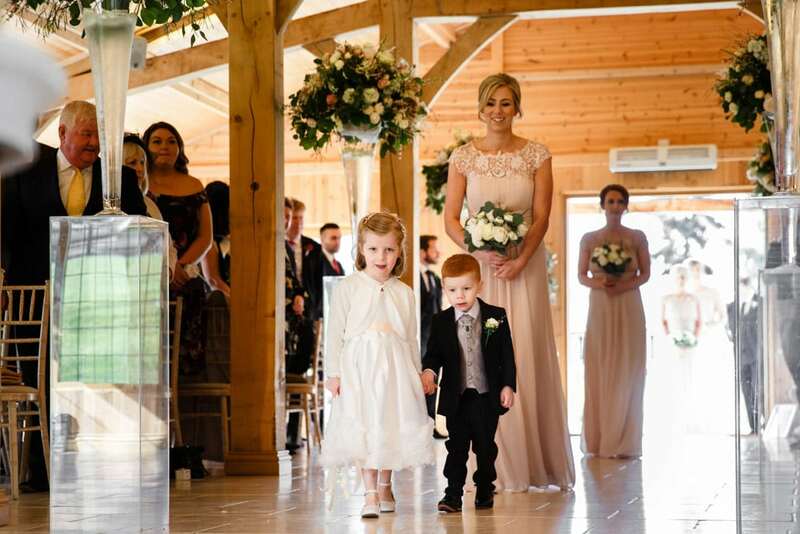 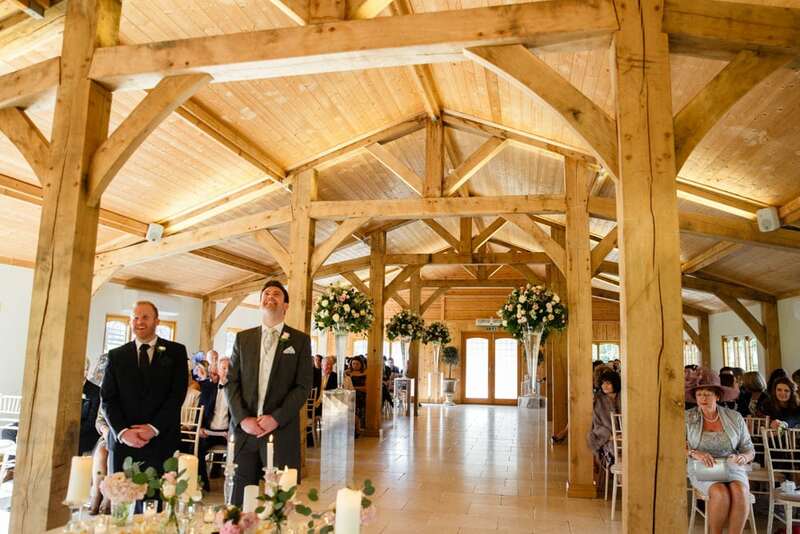 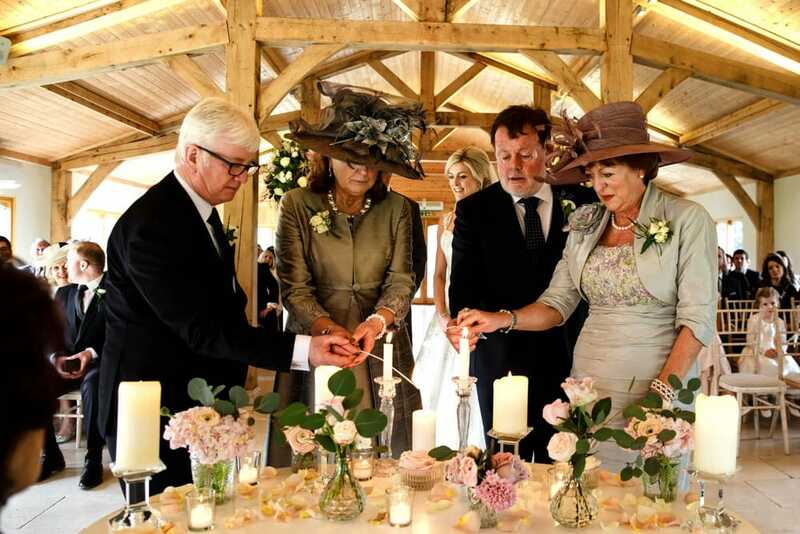 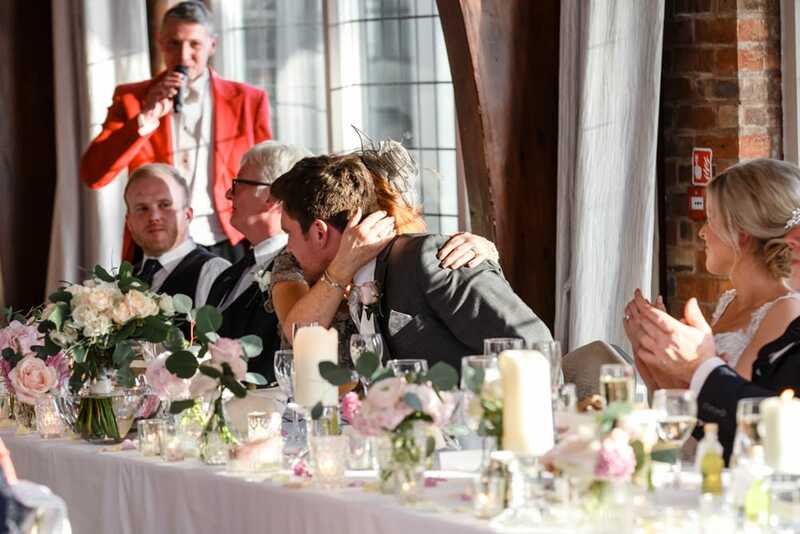 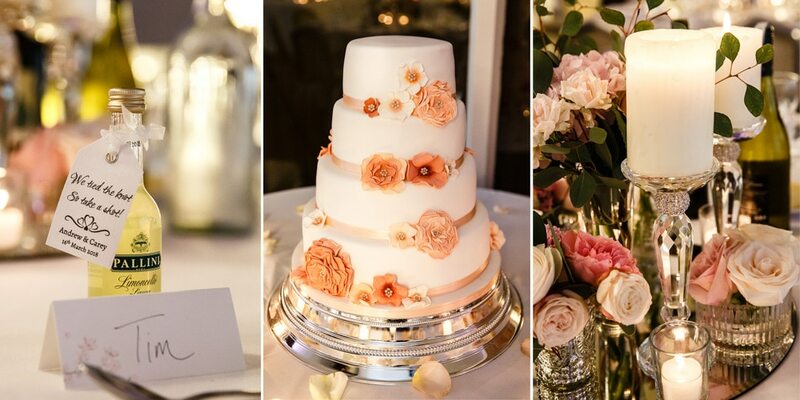 The Ceremony Barn at Colshaw Hall is the perfect combination of romantic and rustic and suits the venue perfectly and was dressed beautifully by Spring Bank Flowers. 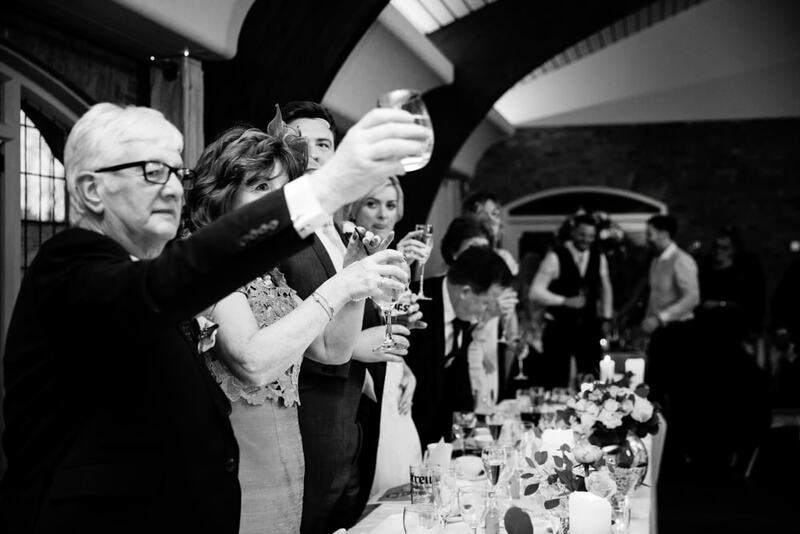 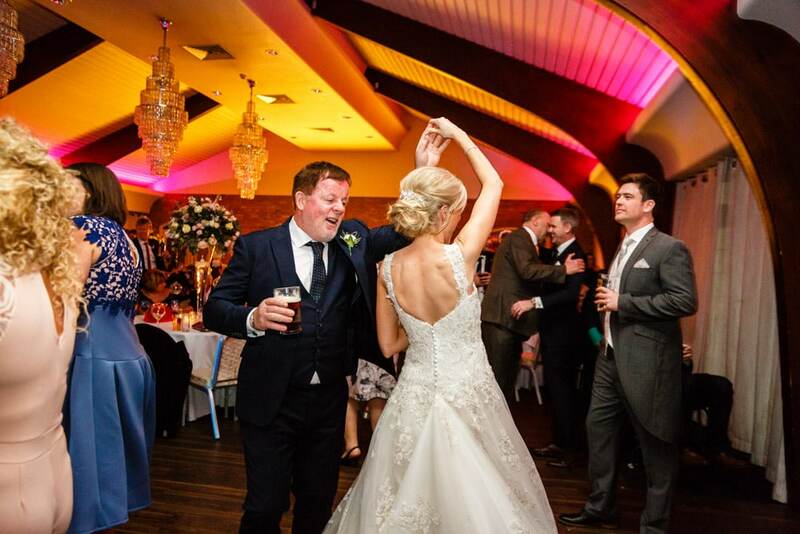 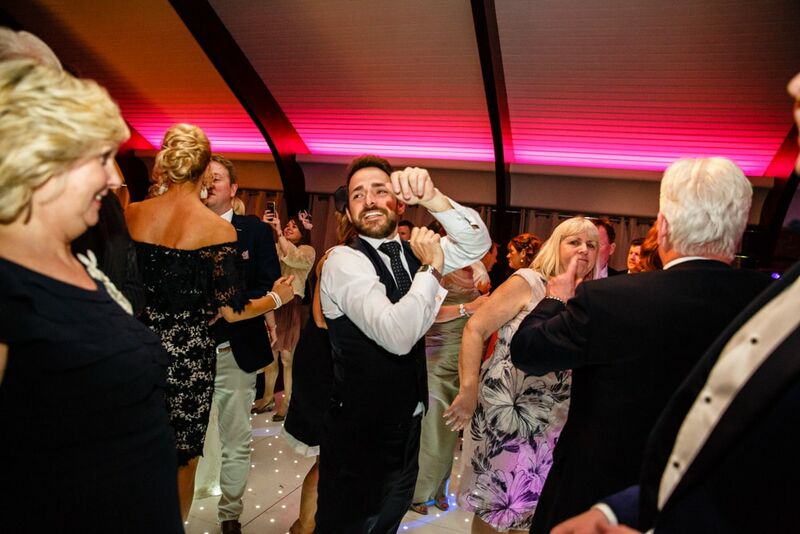 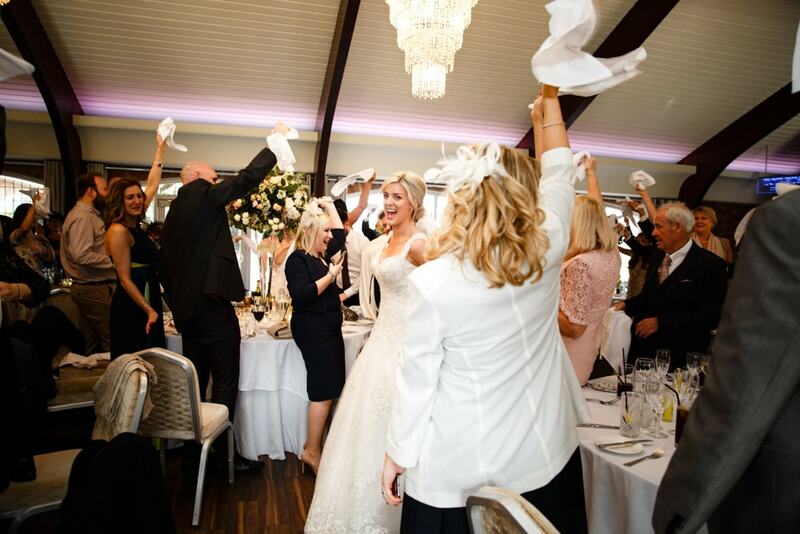 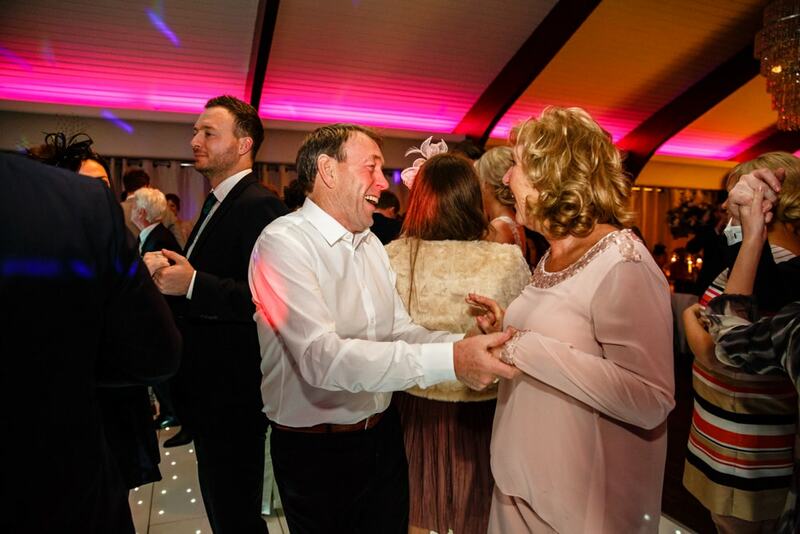 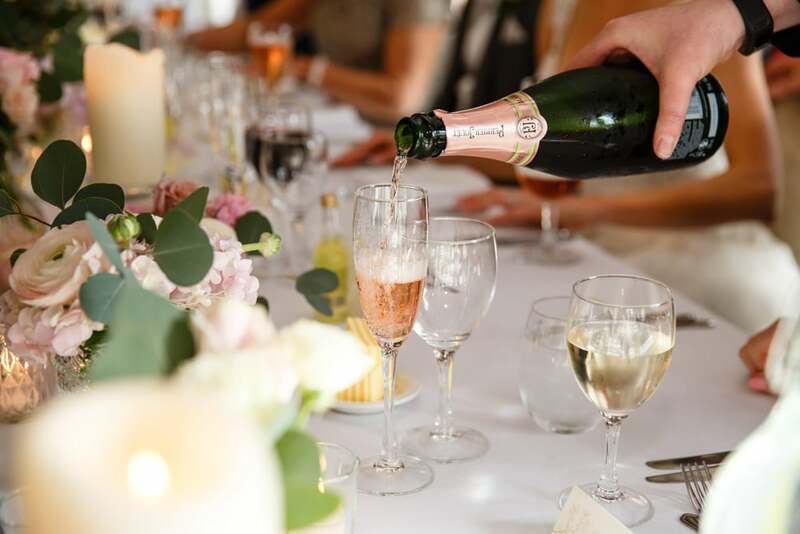 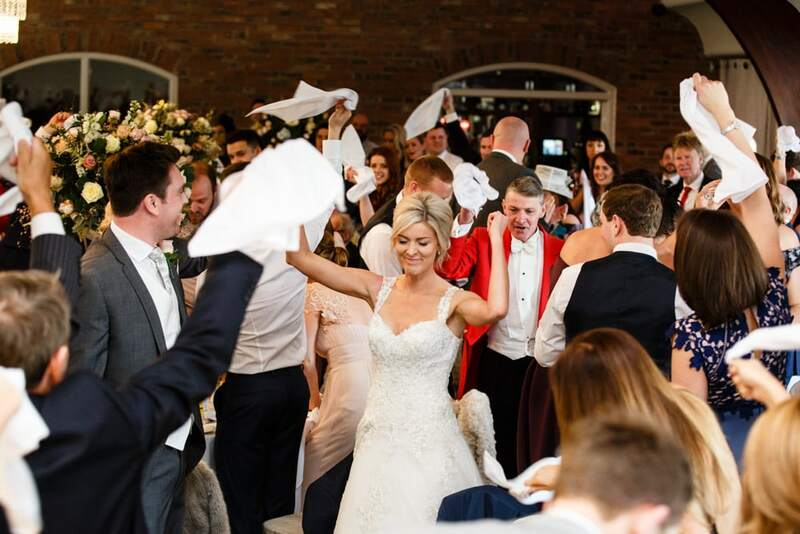 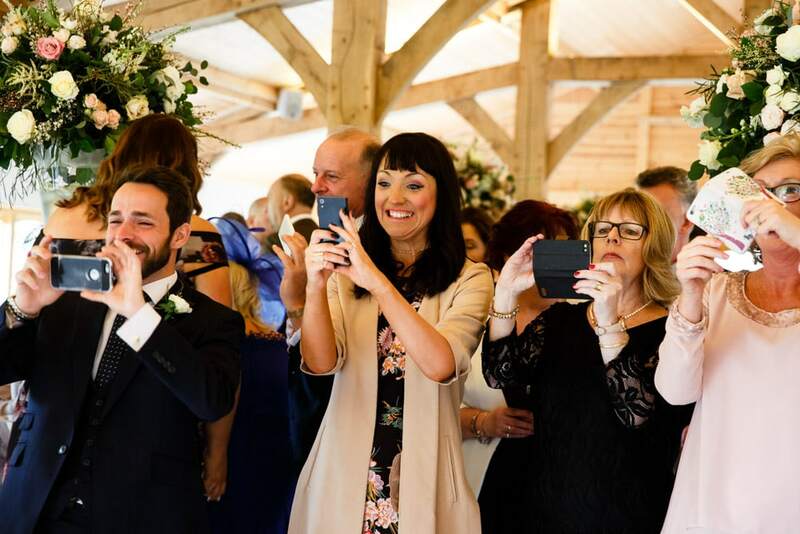 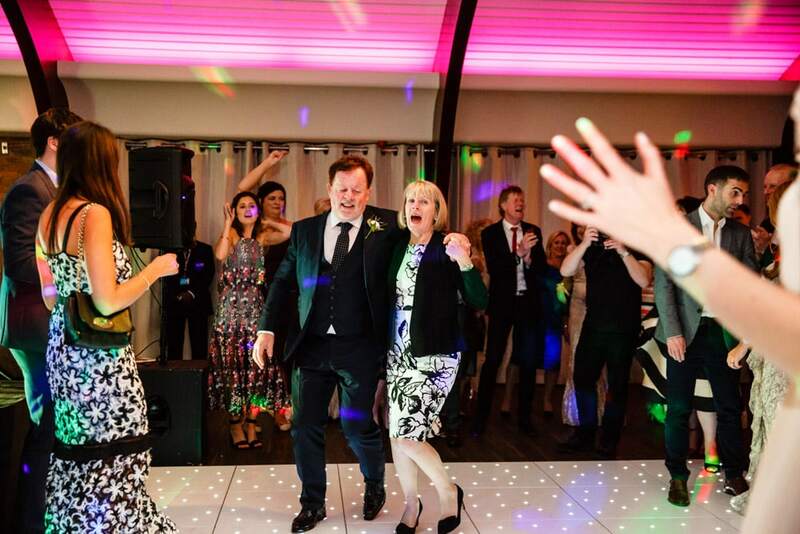 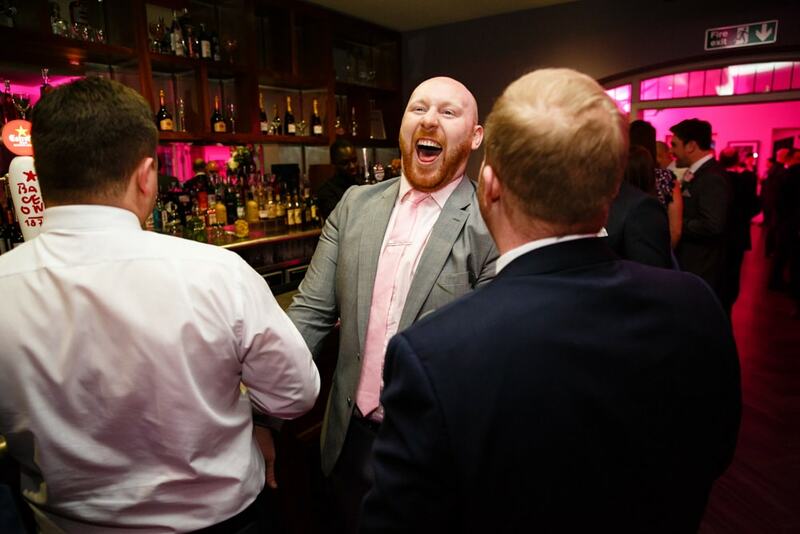 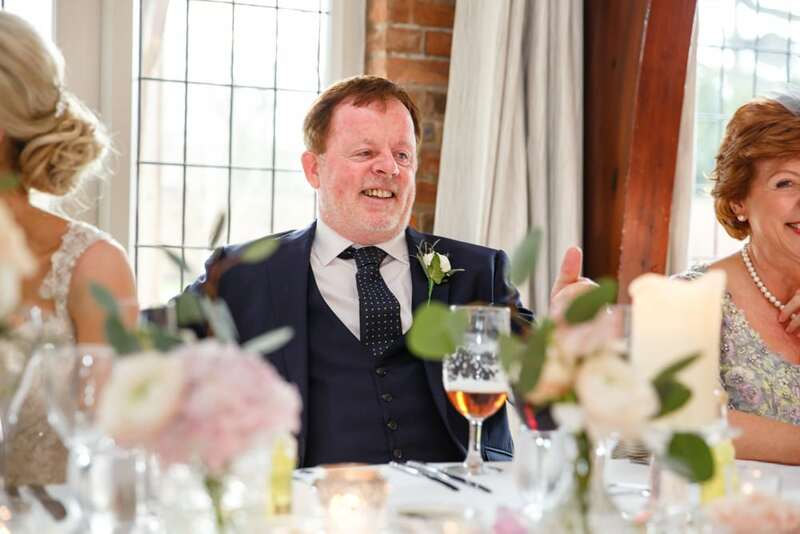 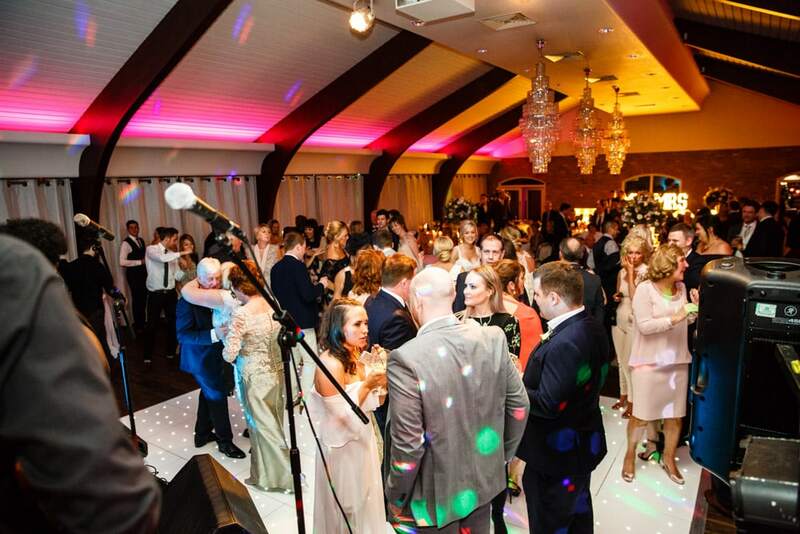 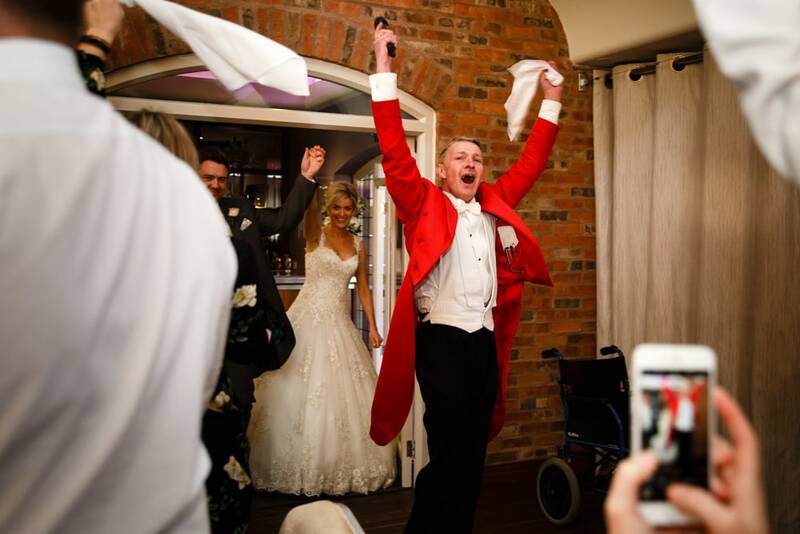 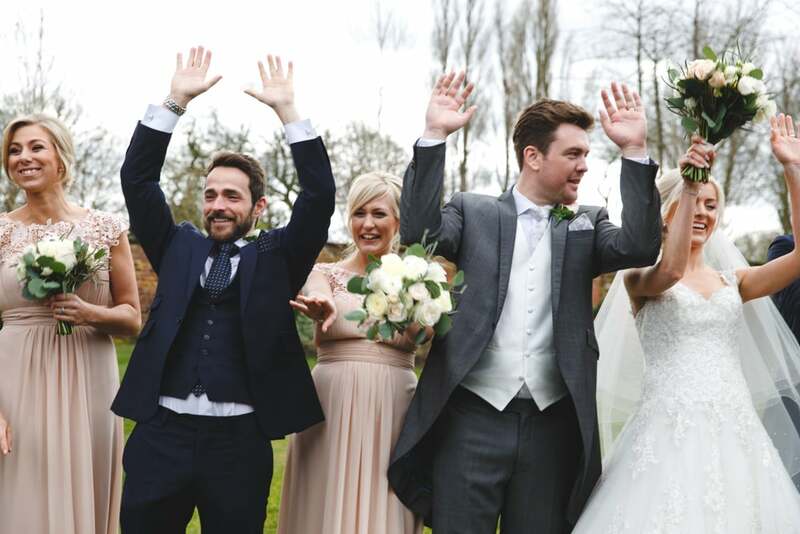 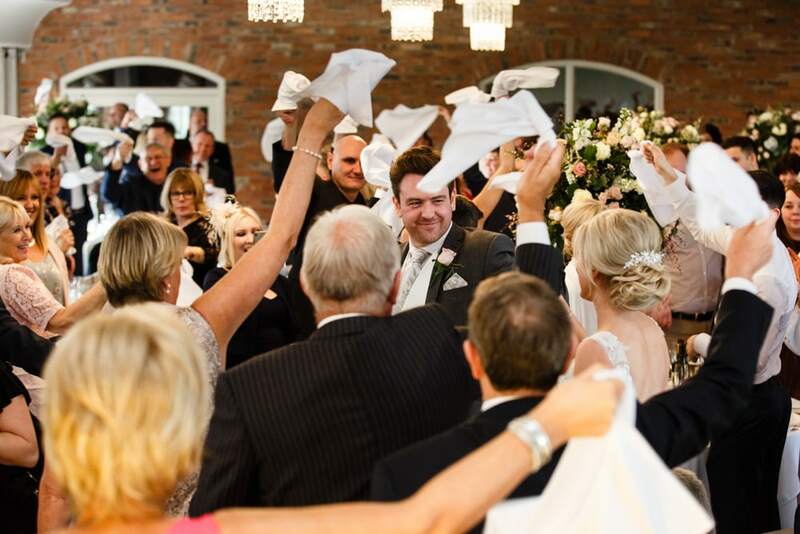 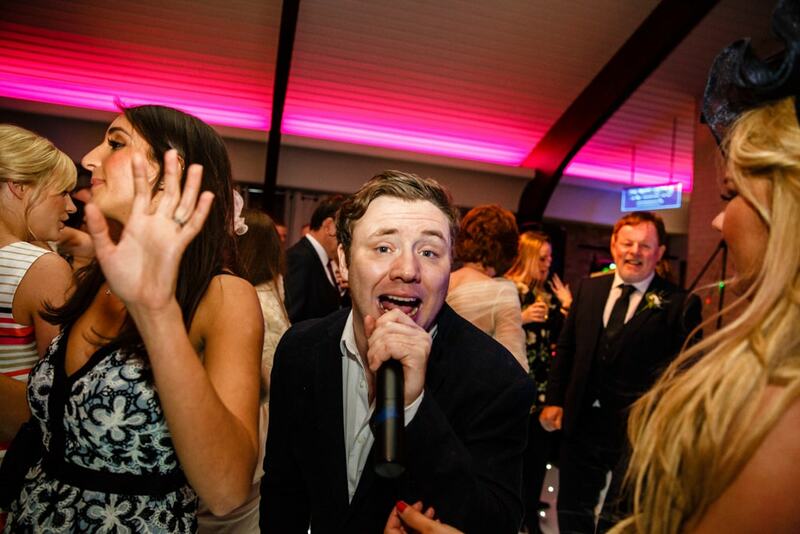 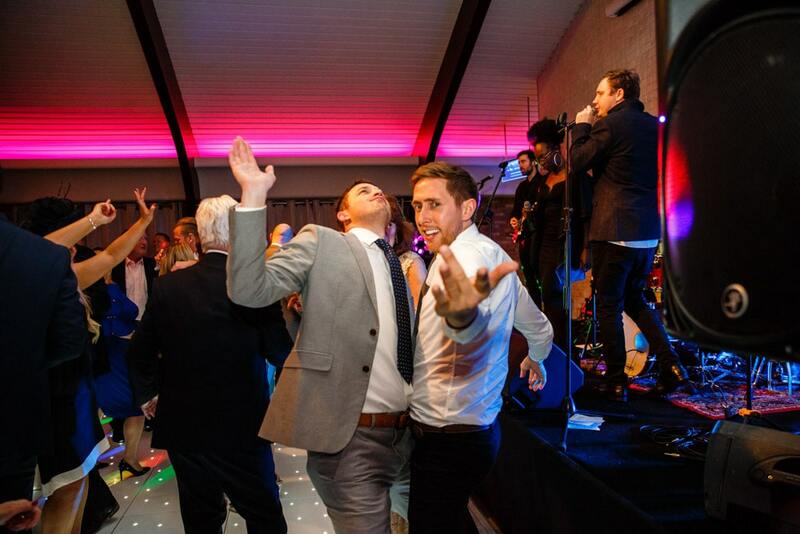 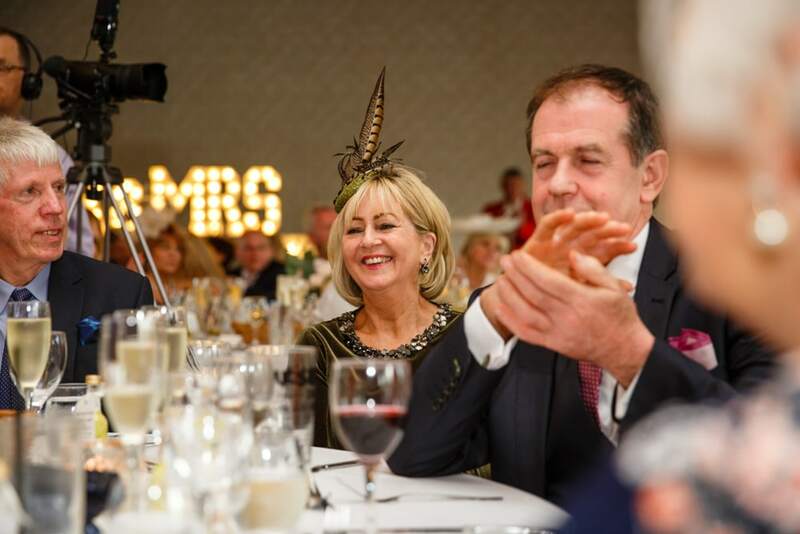 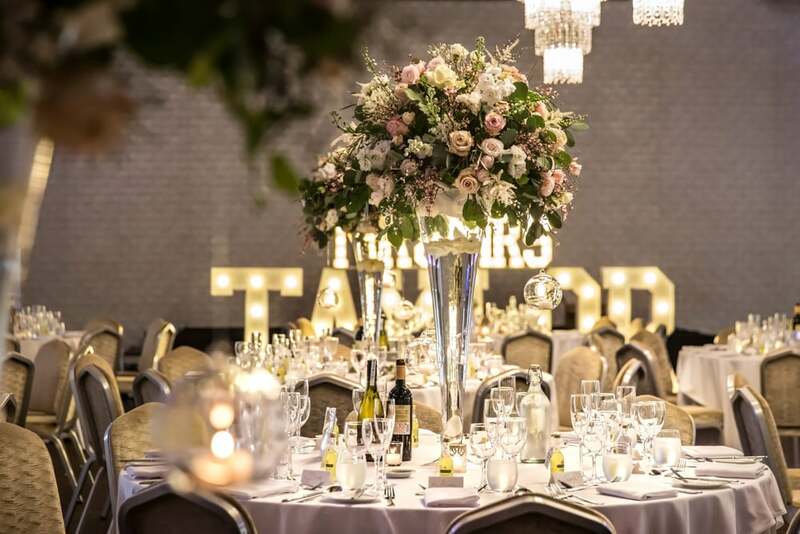 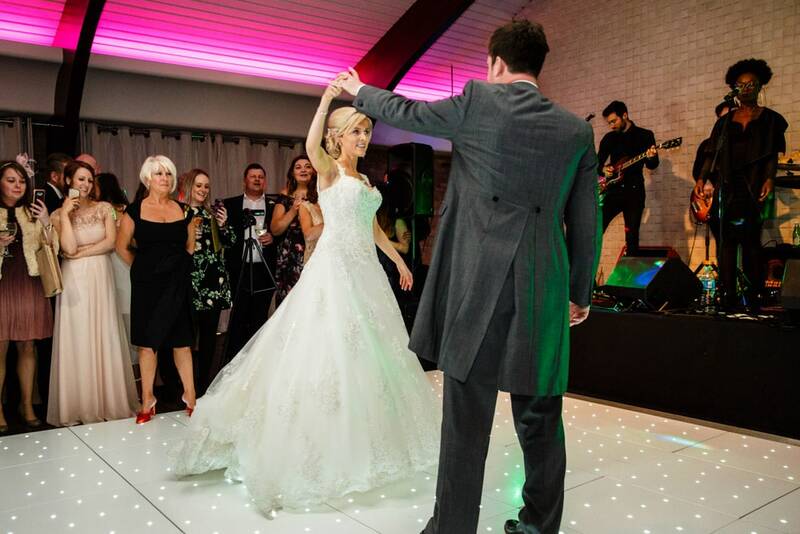 After Carey & Andrew married and walked out as husband and wife to a confetti line, Ian Brown the Toastmaster took over and made sure everyone made it over to the drinks reception and canape’s were served and group photos begun. 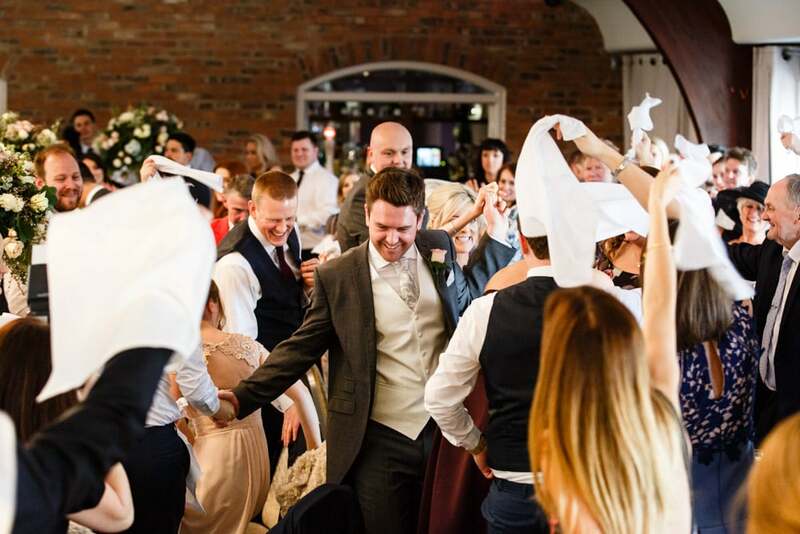 Having Ian in charge really does make the day run smoothly, the entrance Ian provided into the Hall for the Wedding Breakfast was fantastic, he had everyone up on their feet and swaying around their napkins. 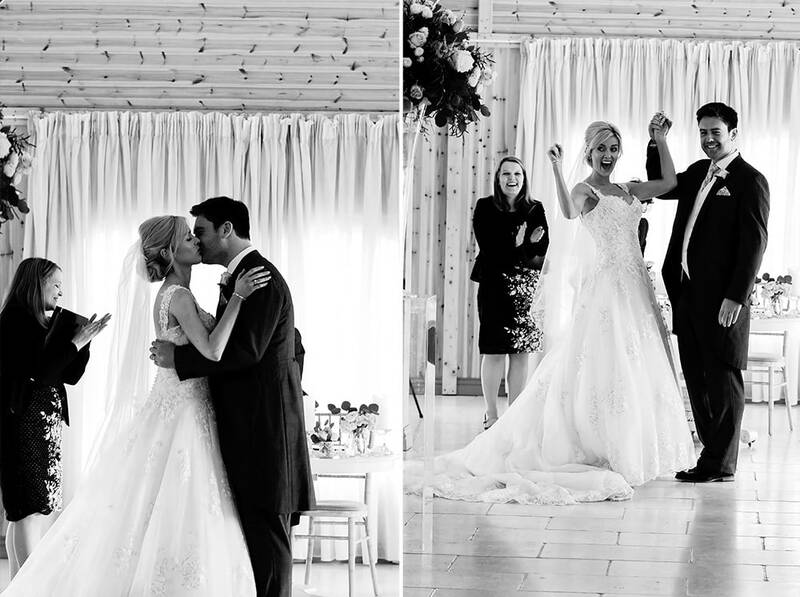 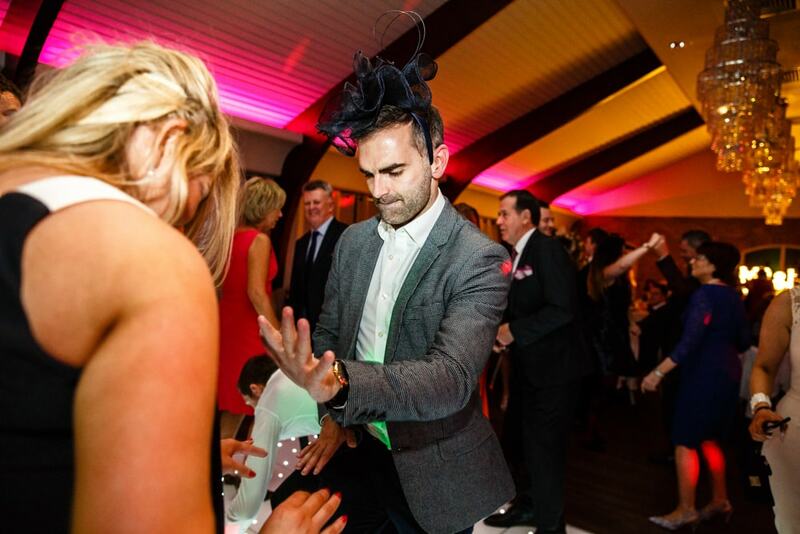 Lots of high energy to welcome the bride and groom was perfect for this couple. 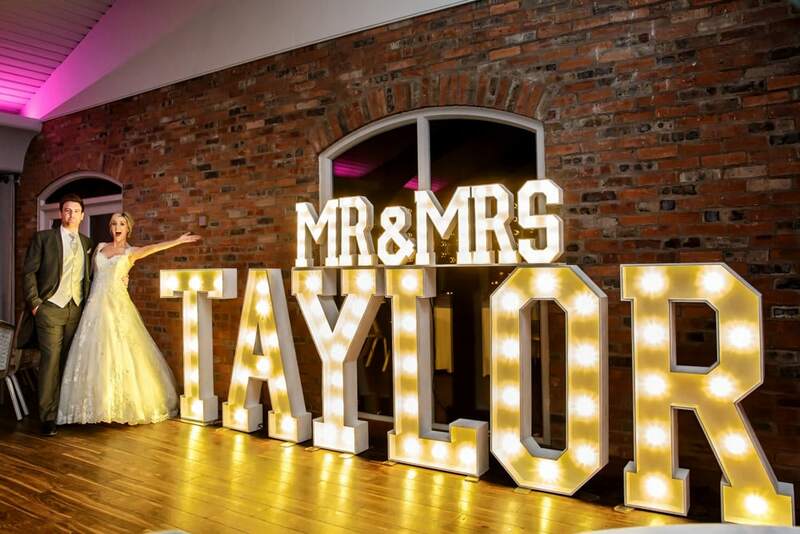 After speeches everyone was super excited to get the evening underway, the lightup letters provided by Love Is The Word looked amazing and set the room off perfectly. 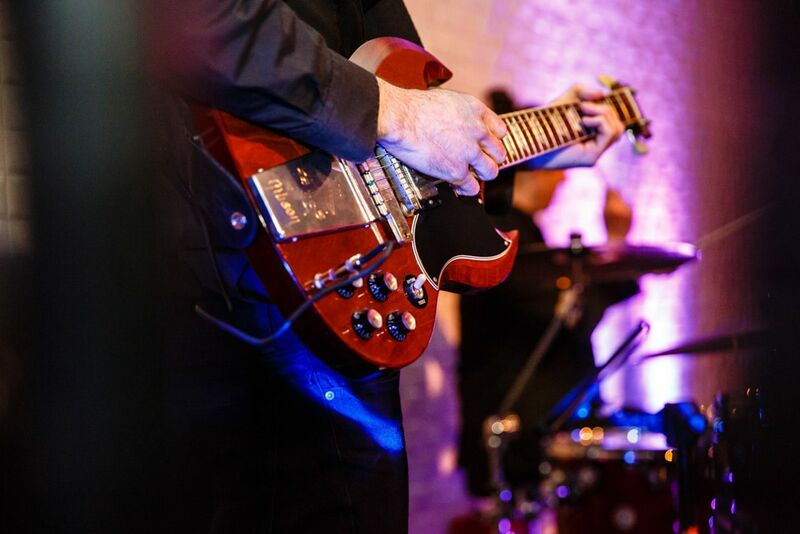 The band, Atlantica came all the way from London and were fantastic. 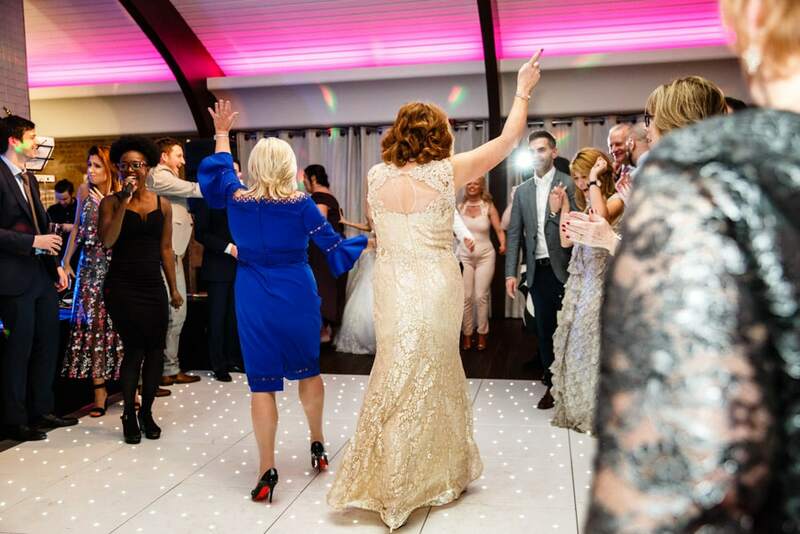 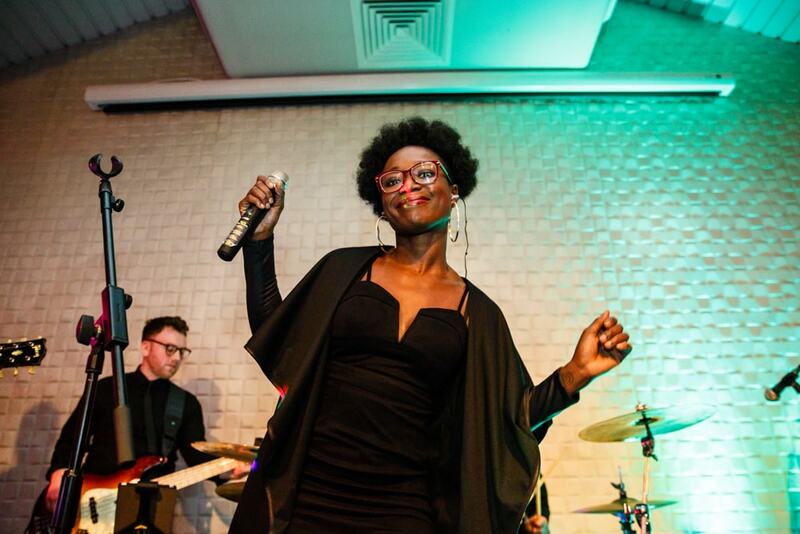 We had a ball and thank you to the staff at Colshaw Hall for making us feel so welcome, we really enjoyed the day and can’t wait to be back their soon.